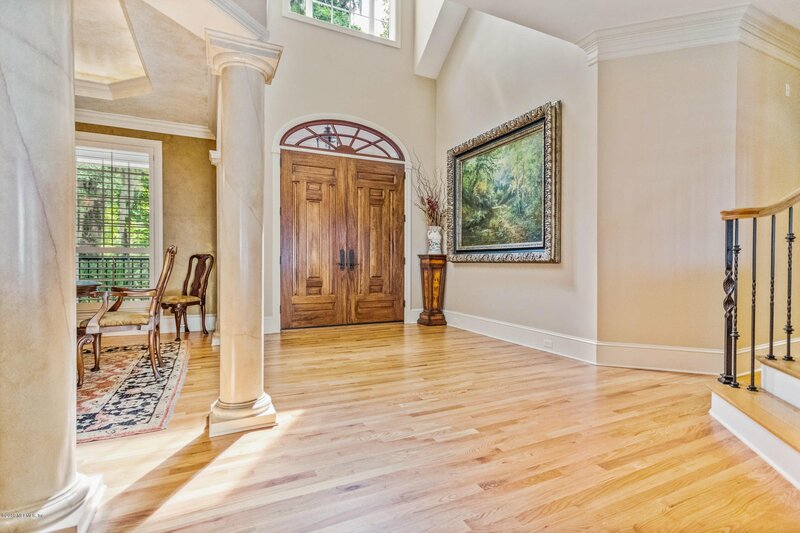 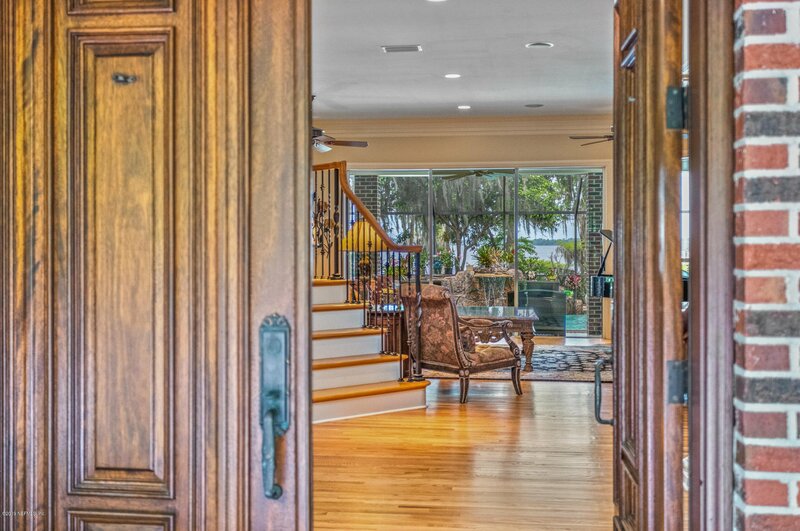 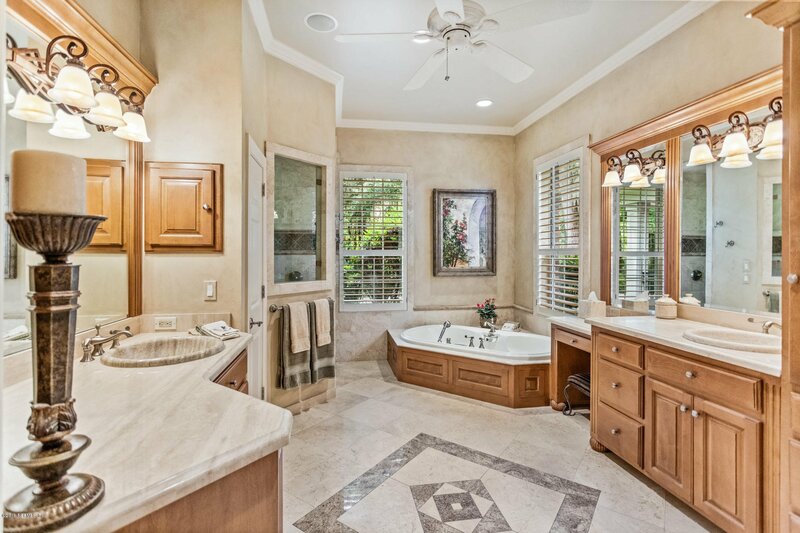 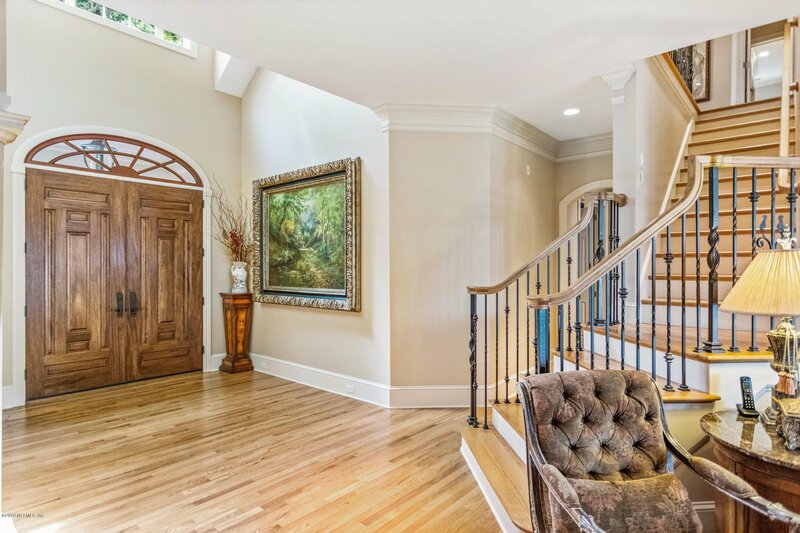 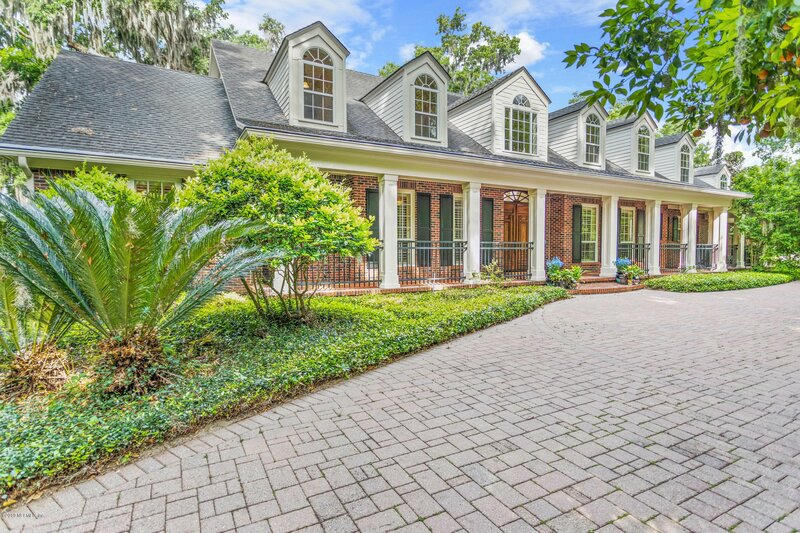 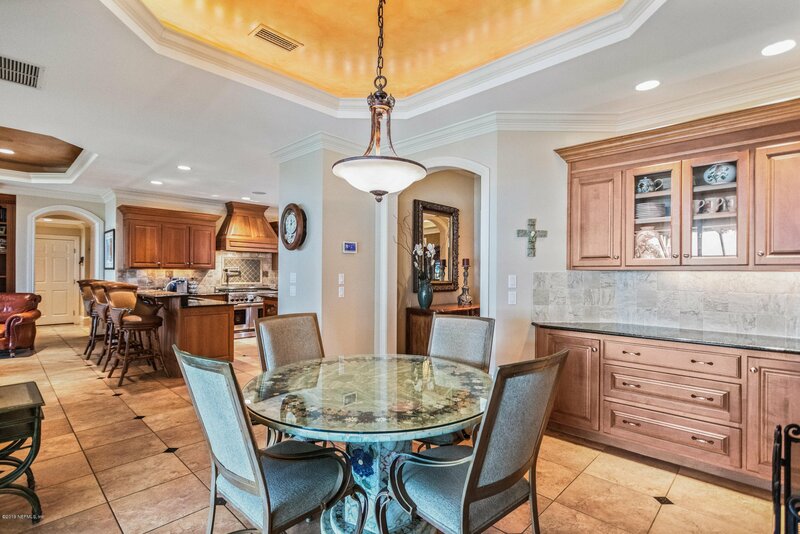 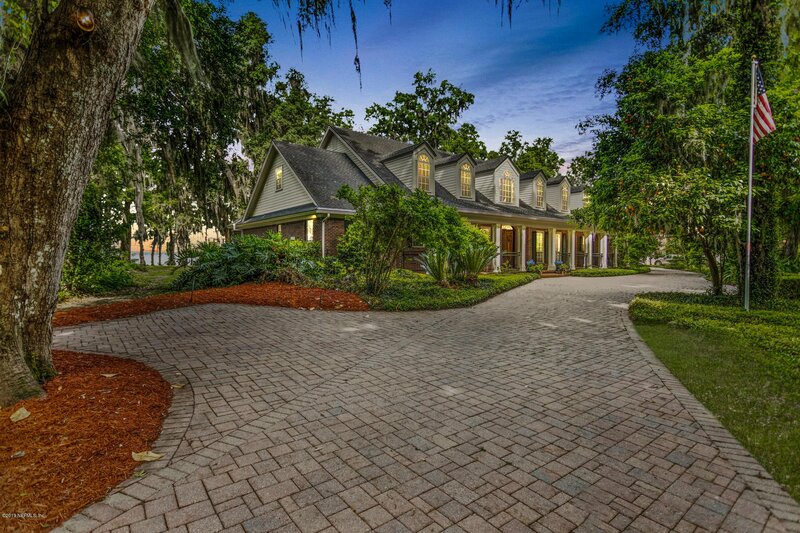 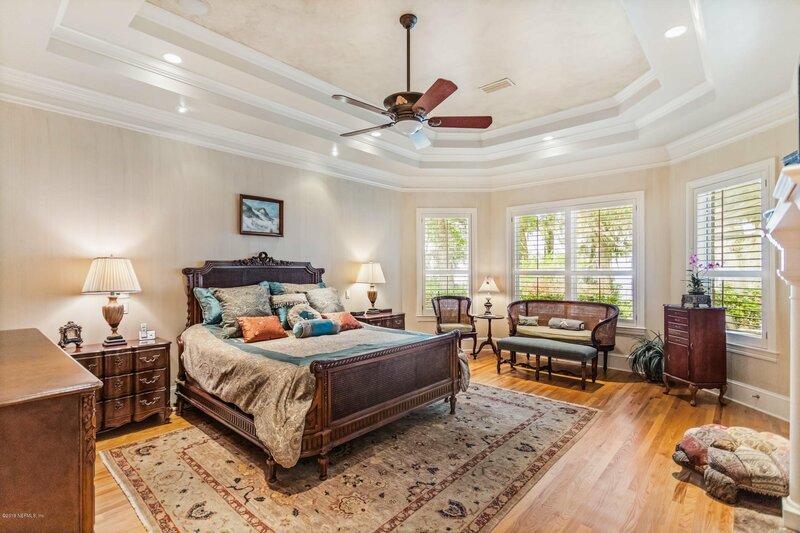 Pure serenity and traditional elegance best describe this Riverfront Estate home. 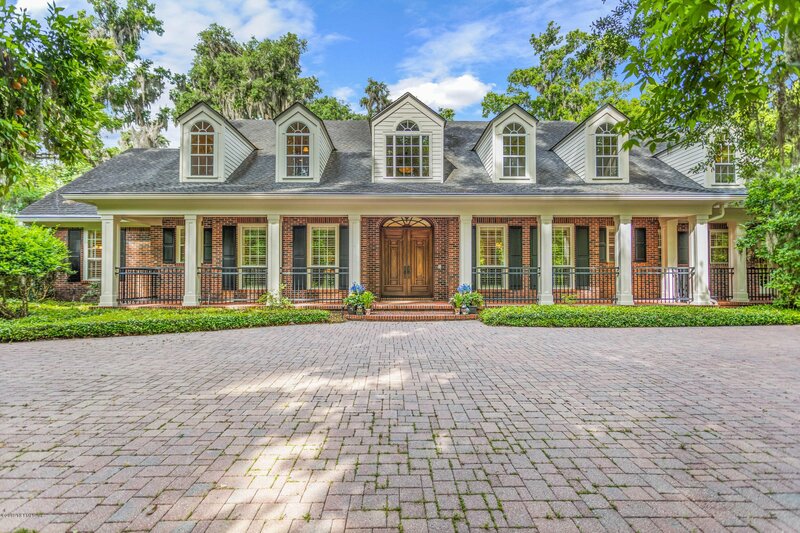 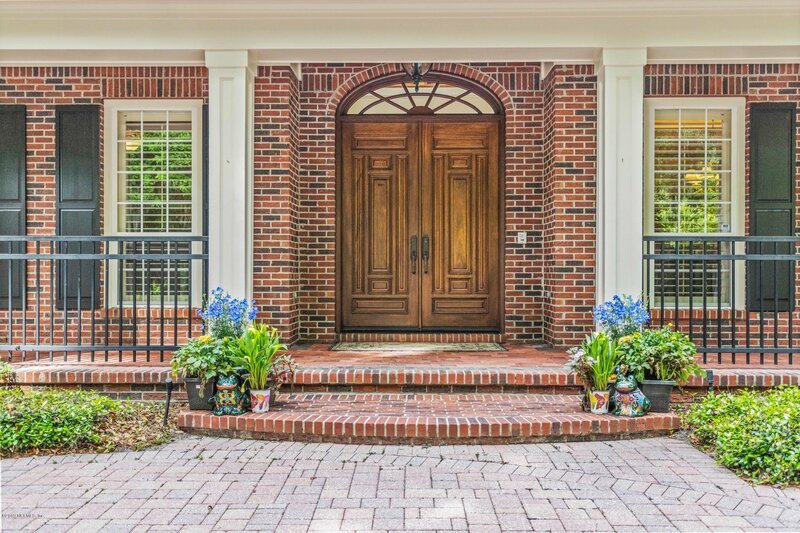 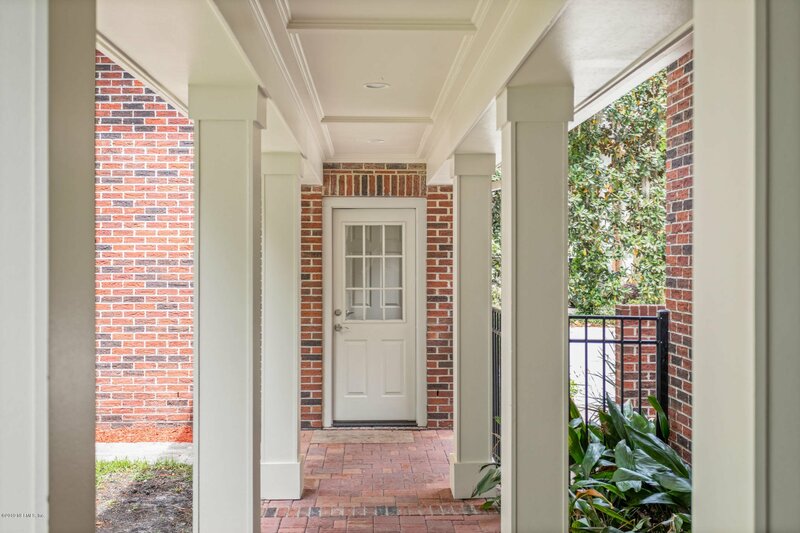 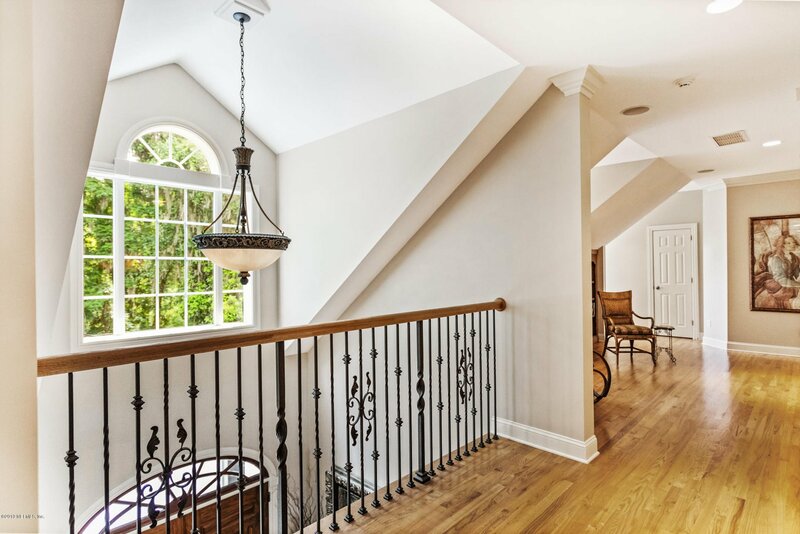 Porches and balconies run the full length of this Whitehurst, Southern Georgia-inspired beauty, with 7,588 square feet of heated and cooled area and nearly 11,000 total square feet of living space, including a detached guest apartment with kitchenette and private bath! 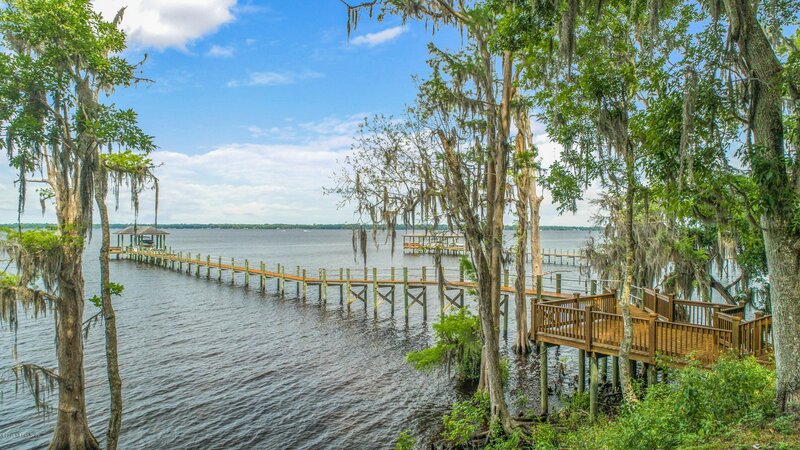 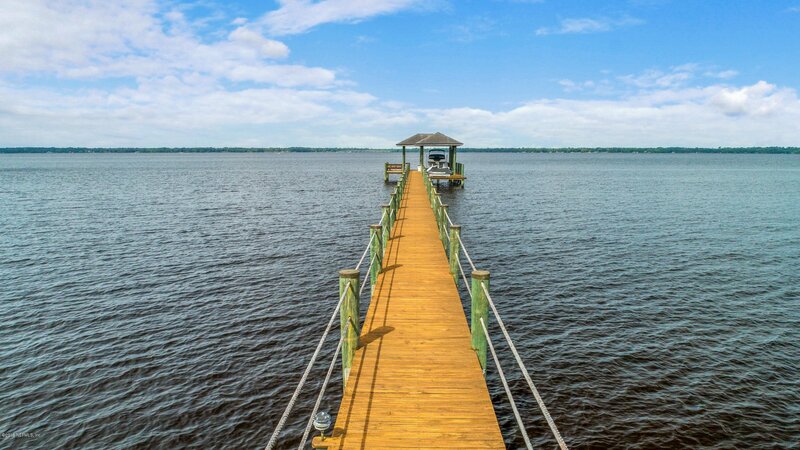 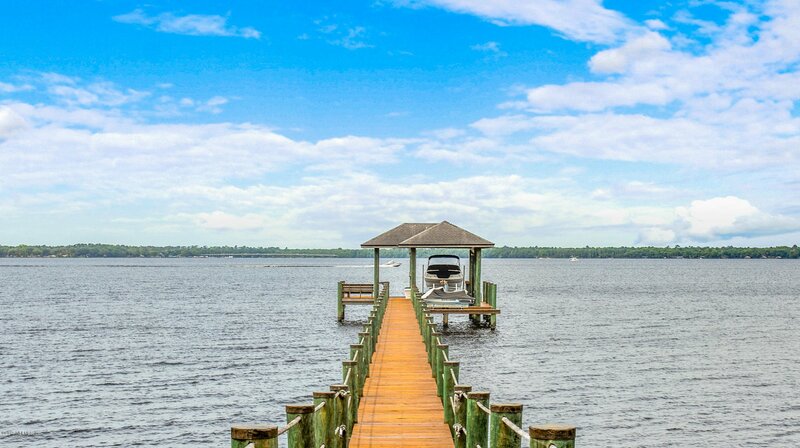 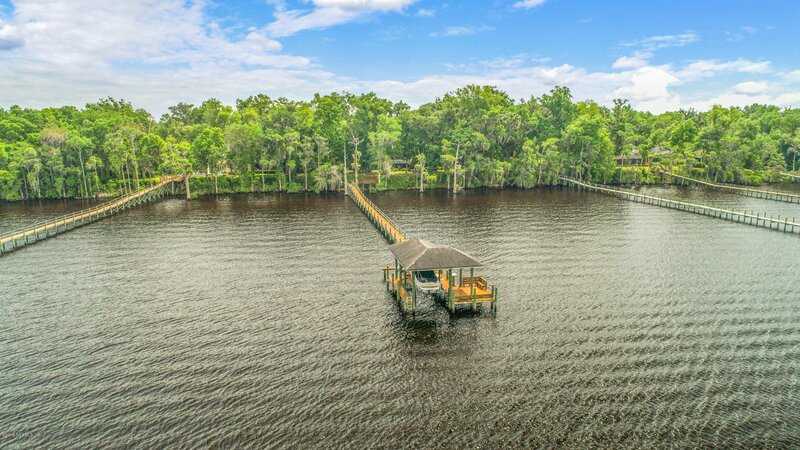 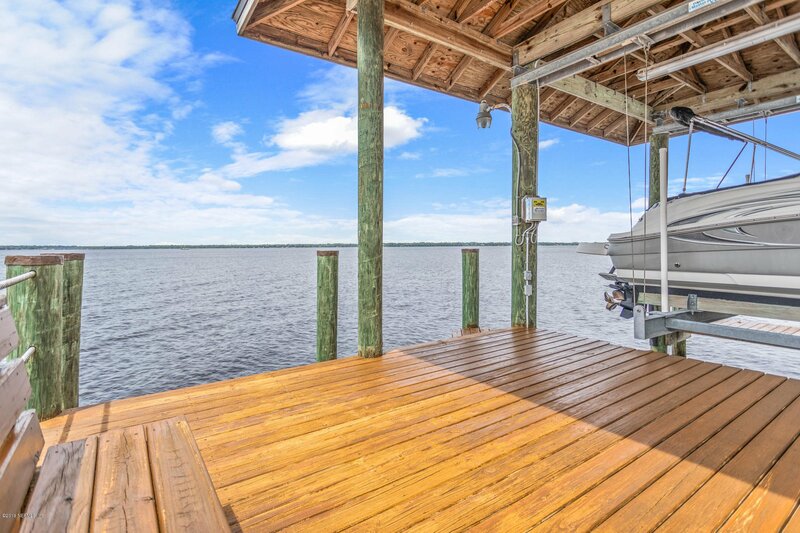 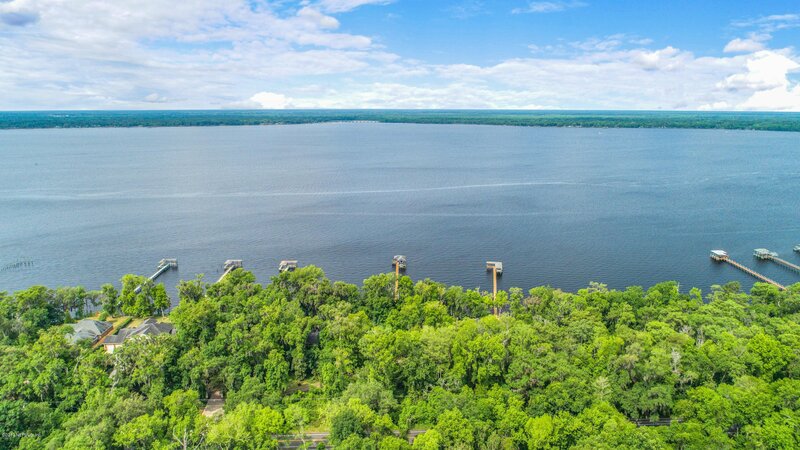 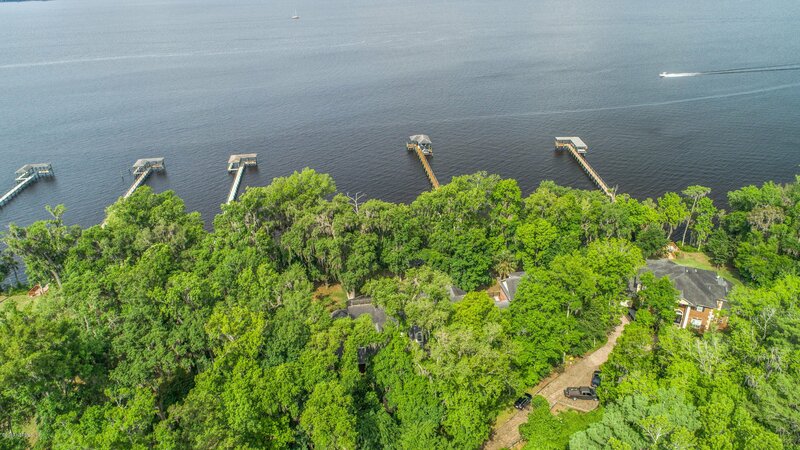 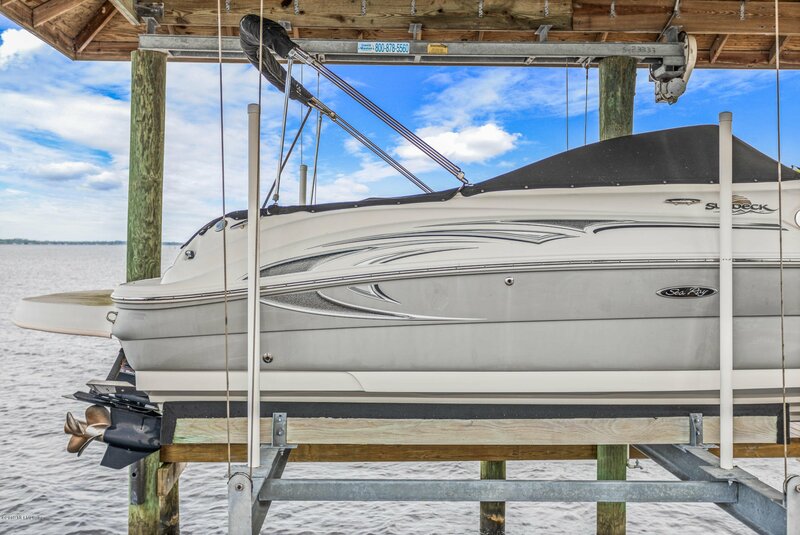 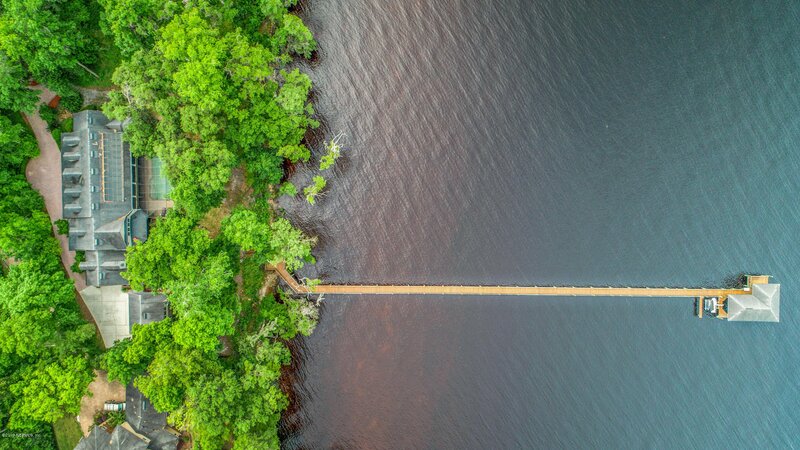 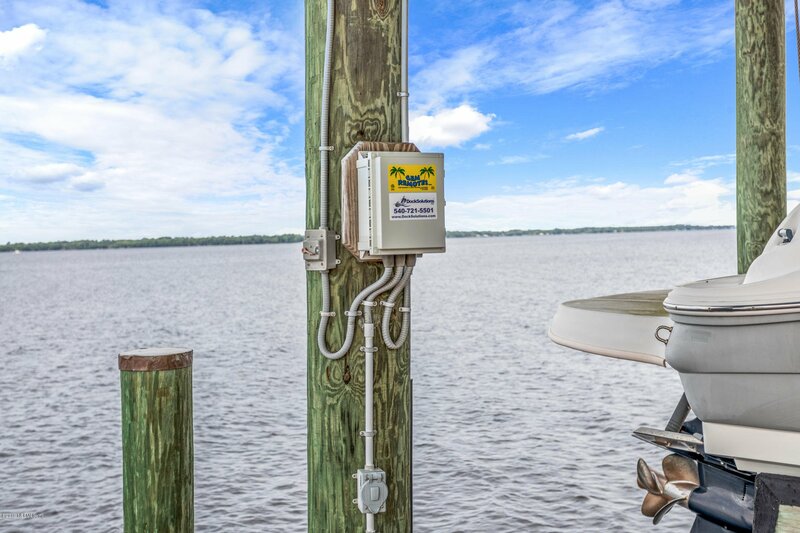 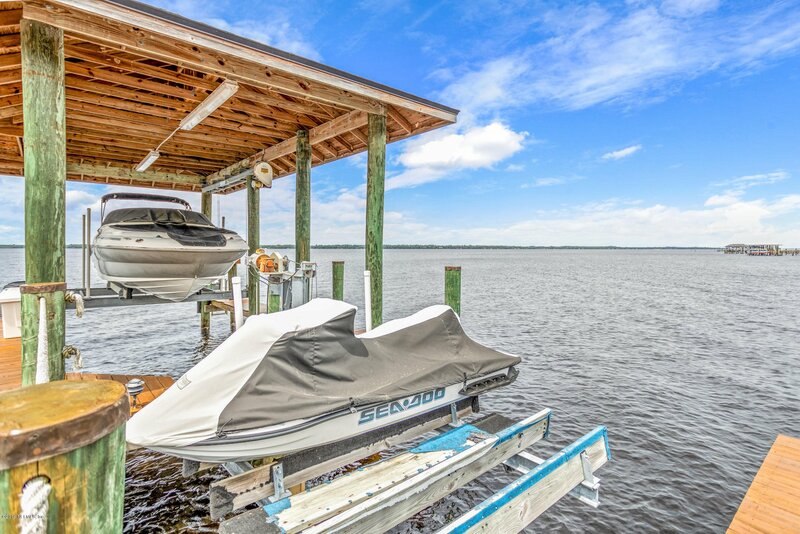 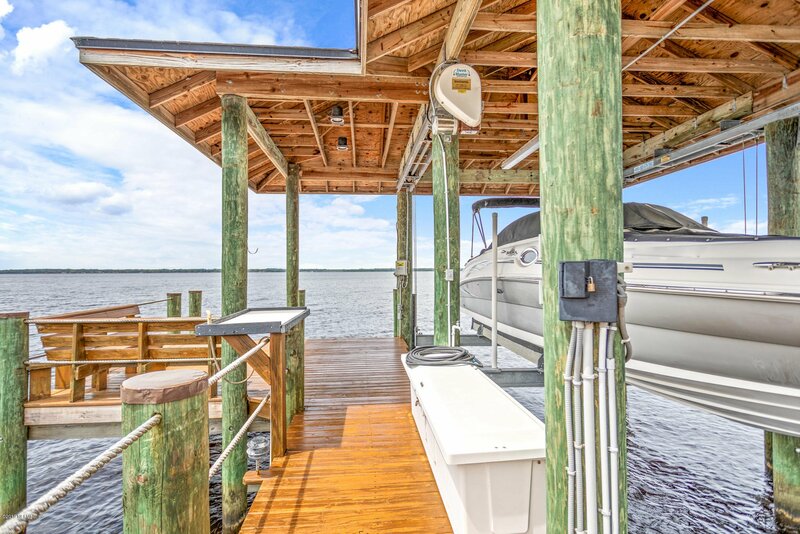 The 1.03 acre lot features a 360' Ashcraft dock and boathouse, with a 24' boat lift and a second lift for 2 jet skis. 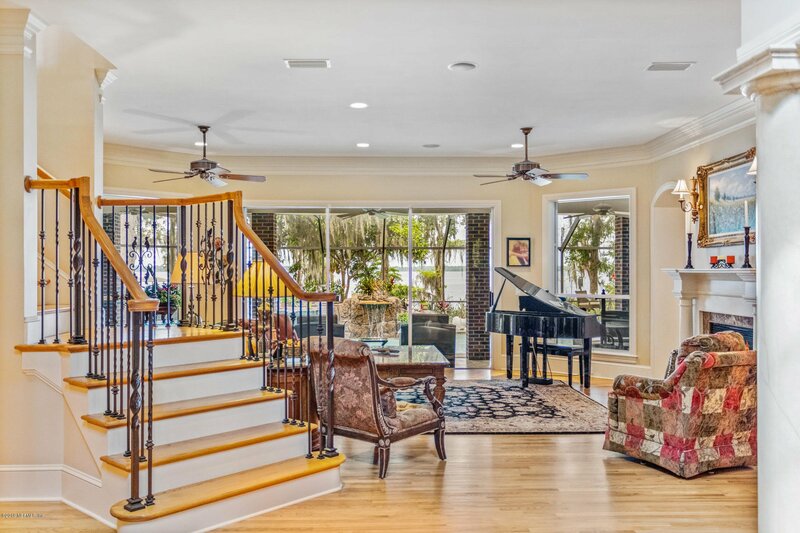 Upon entering the front doors, your eyes are immediately drawn past the sitting room through two sets of triple sliding glass doors out to the 32'x16' solar-heated pool with soothing waterfall, outdoor kitchen area, plenty of room for outdoor entertaining, and of course, breathtaking river views. 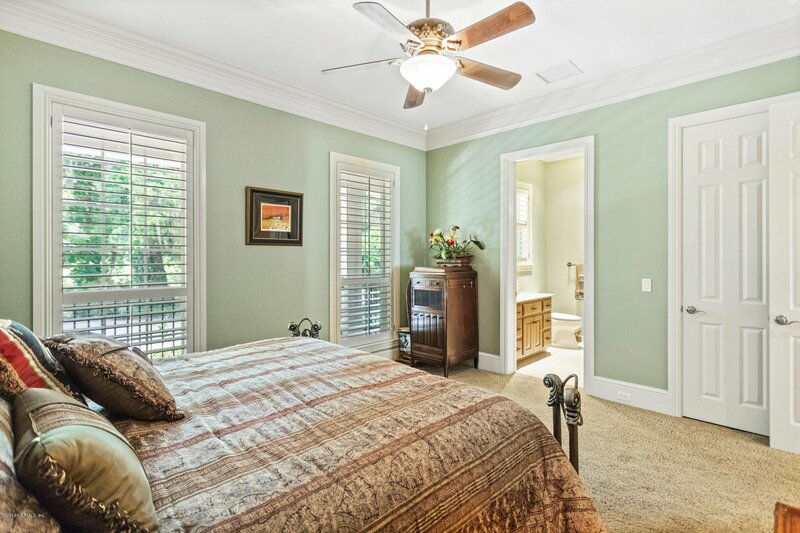 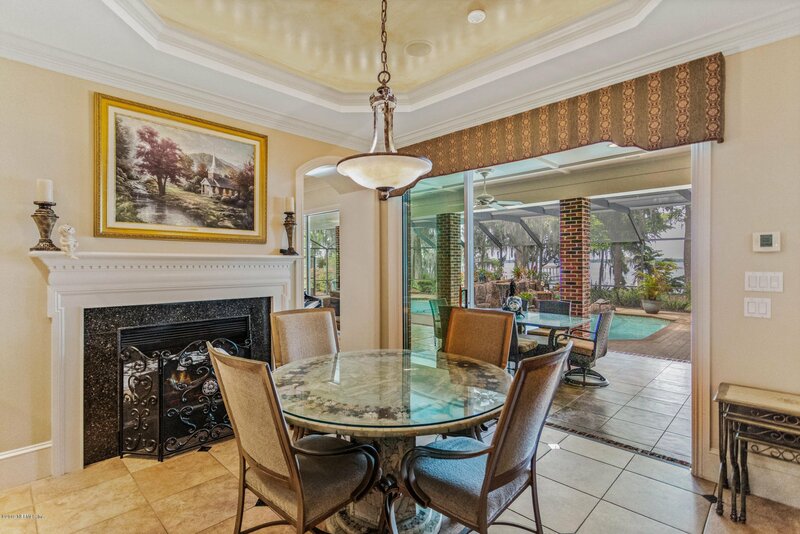 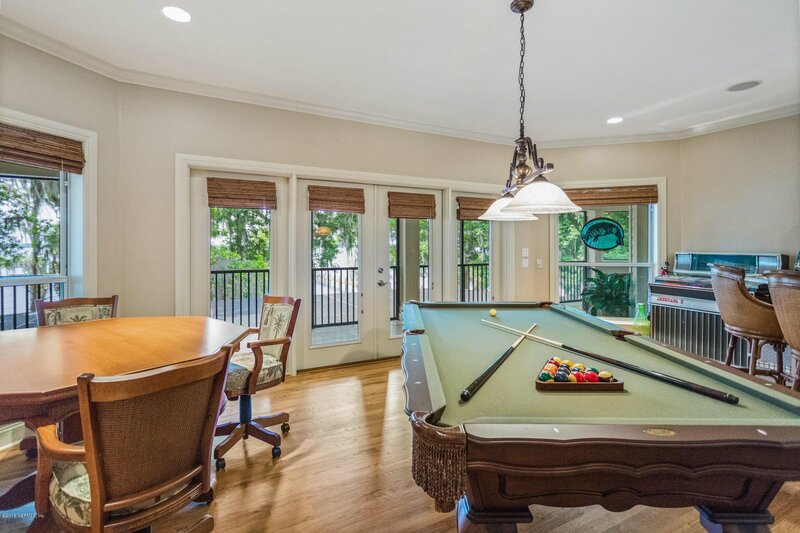 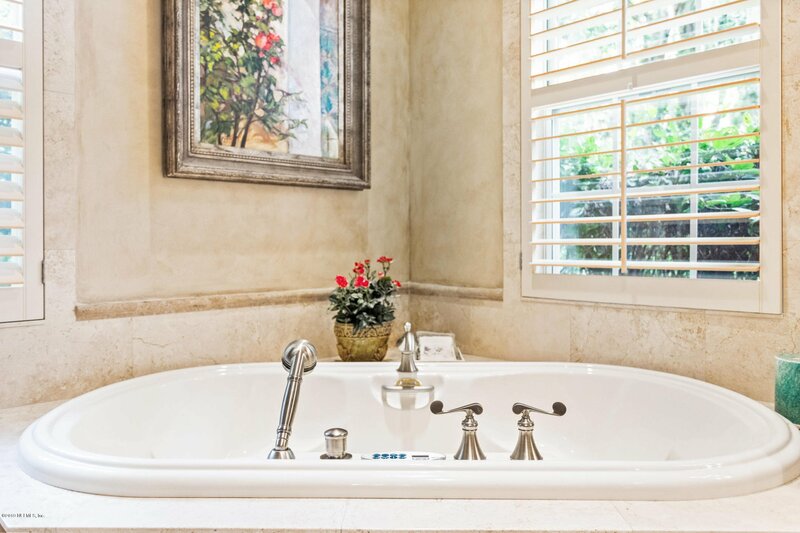 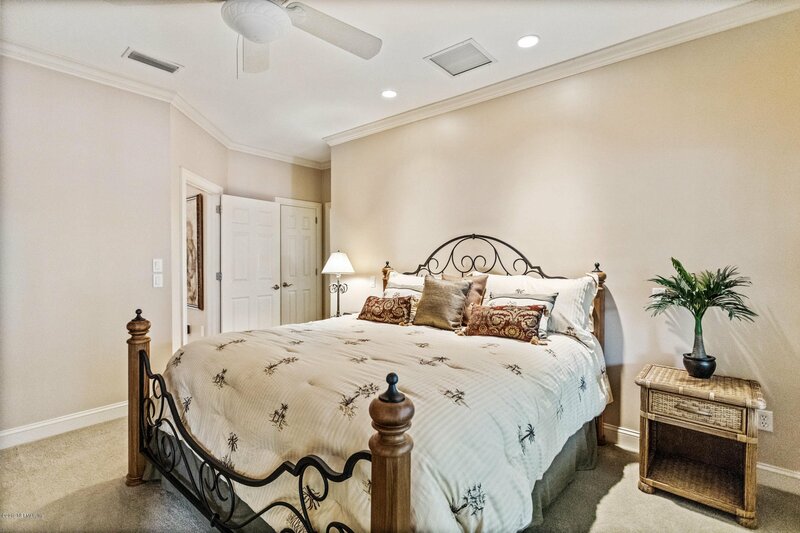 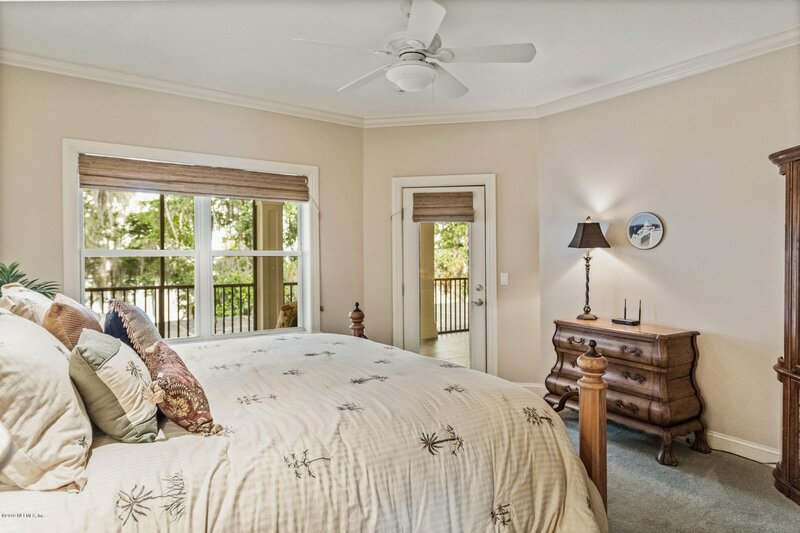 The home includes a beautiful owner's suite on the main floor, with a fireplace and direct access to the pool patio. 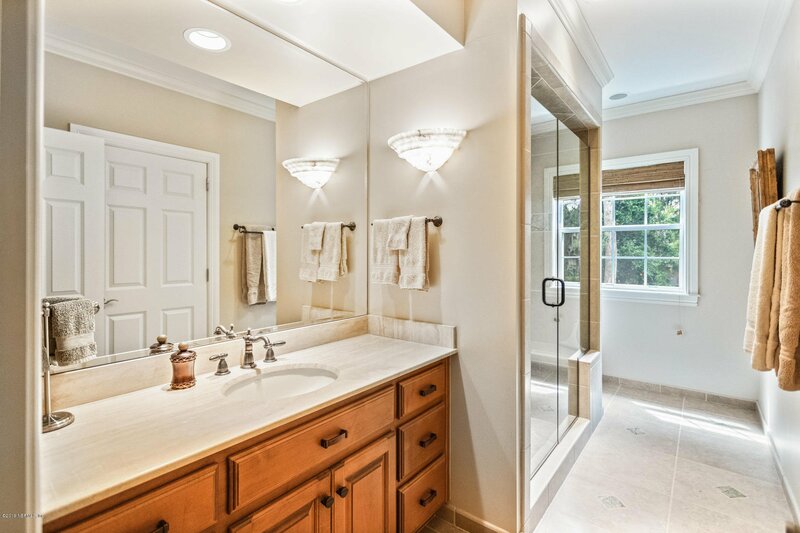 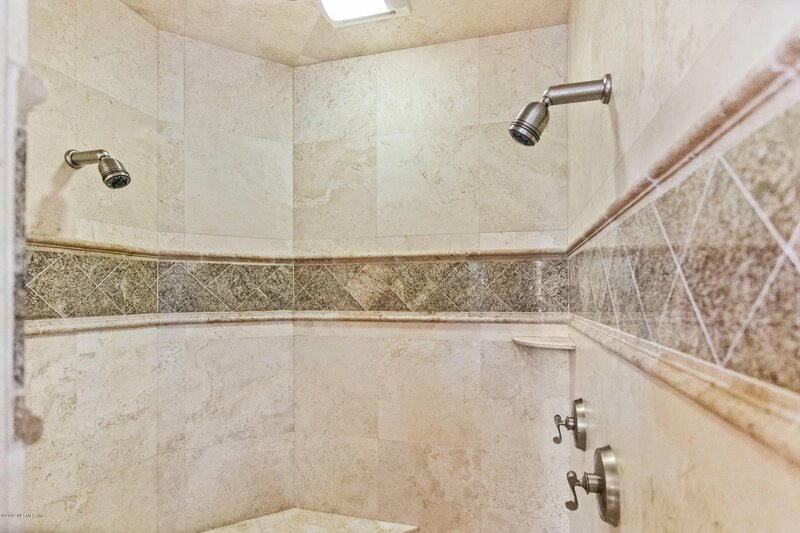 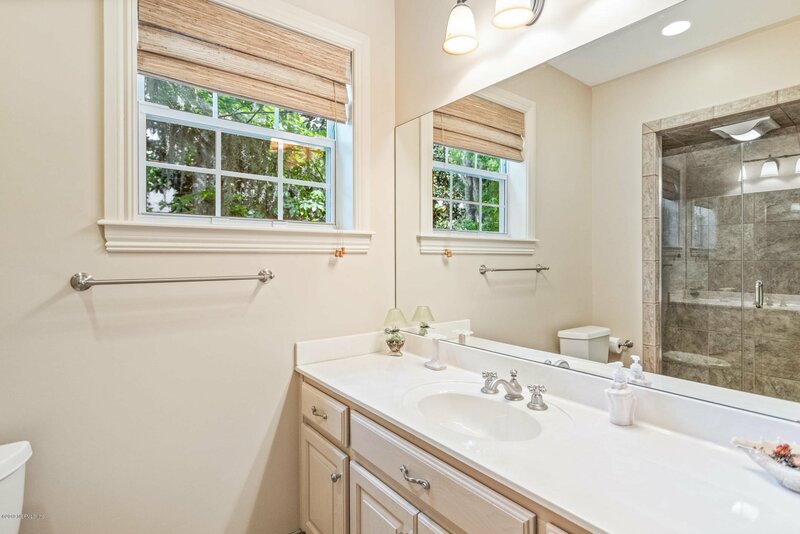 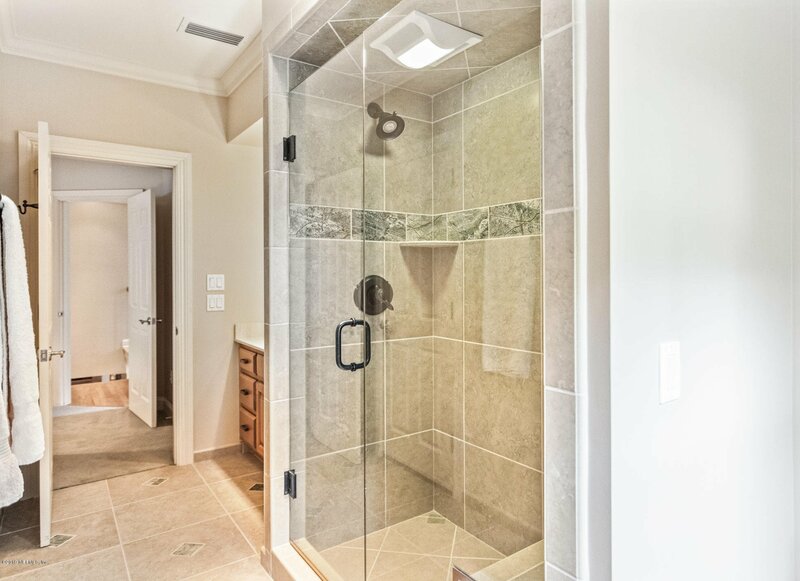 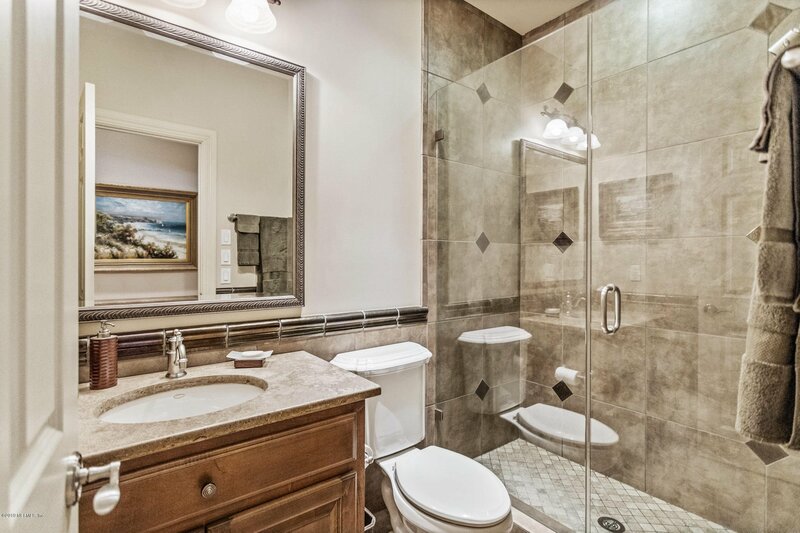 The en suite includes a luxurious 3-head shower, a spa tub with mood lighting, marble accents, and two generously sized walk-in, custom closets. 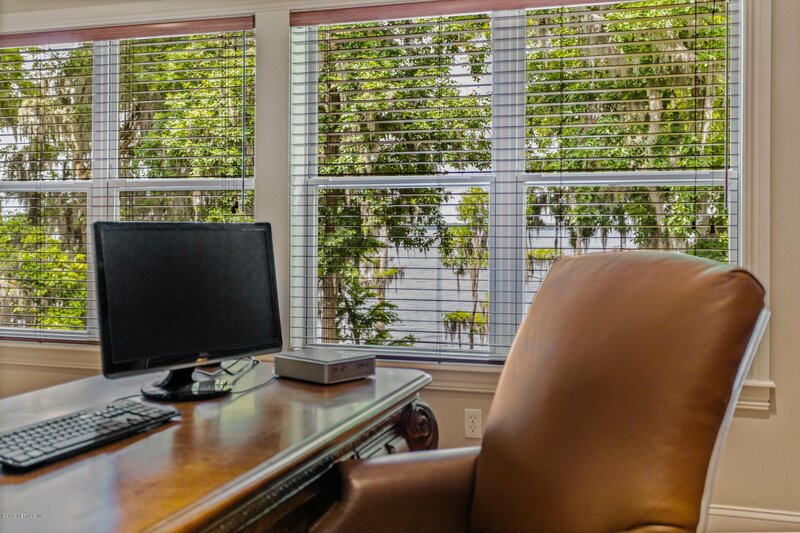 A bonus office looks out over the pool. 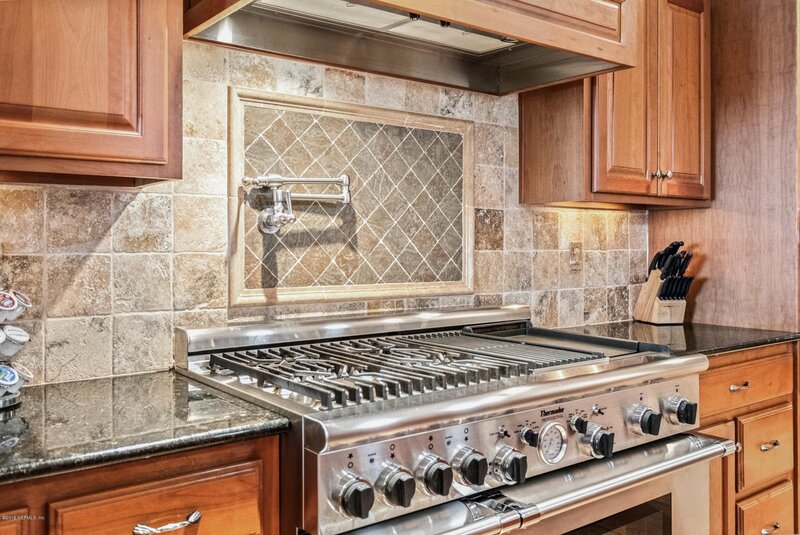 The fully-appointed, gourmet kitchen features a super wide, sub-zero refrigerator, granite countertops, Thermador commercial gas range with an electric oven option, warming drawer, and pot-filler faucet. 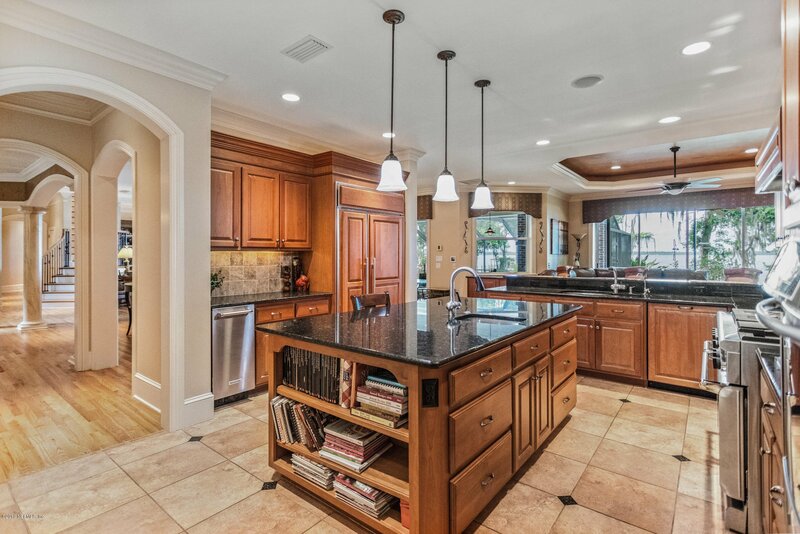 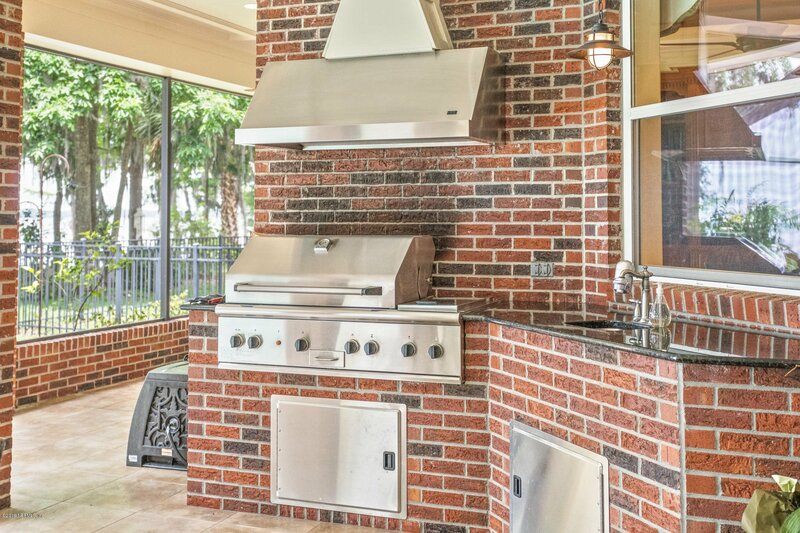 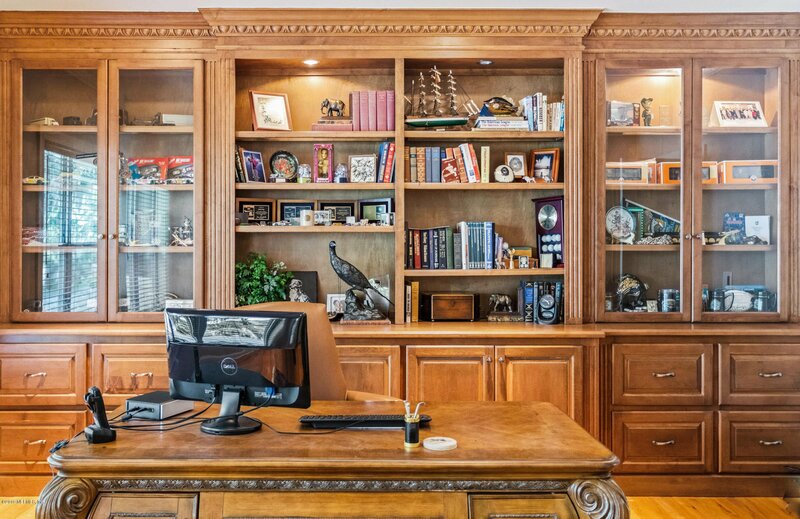 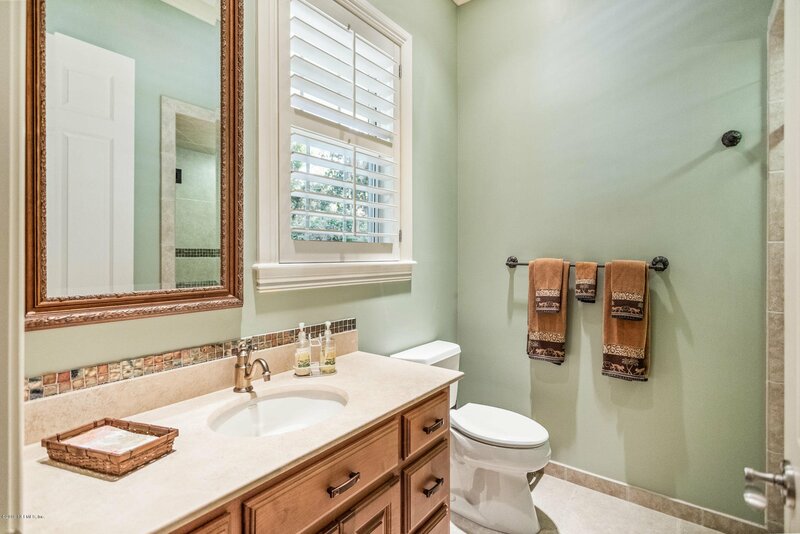 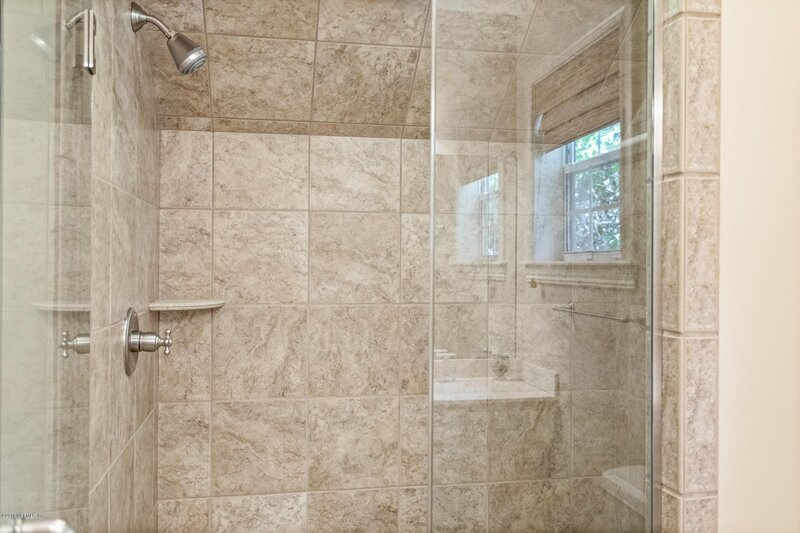 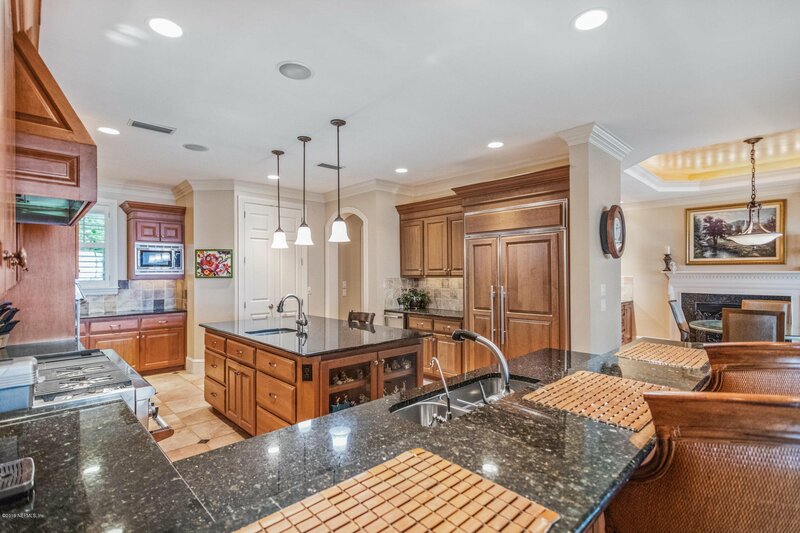 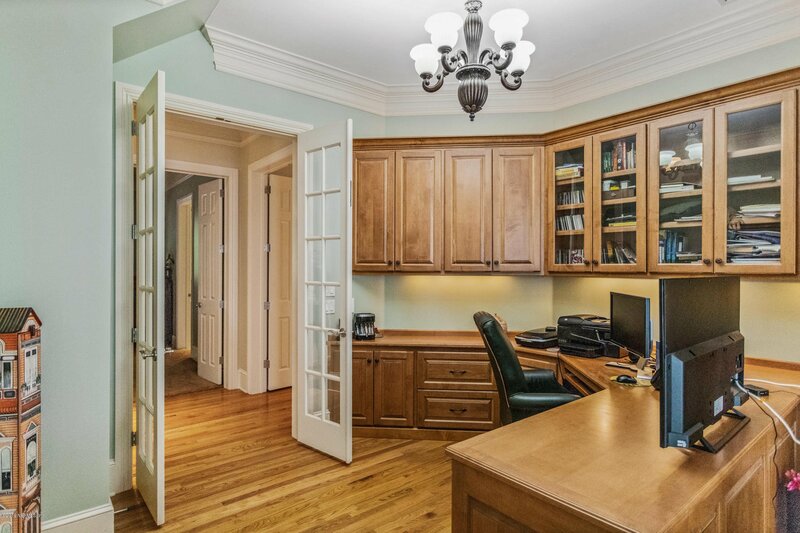 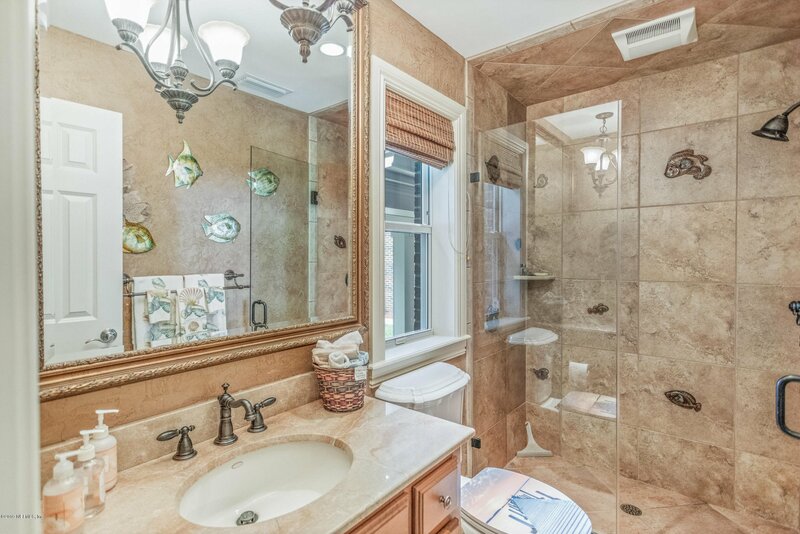 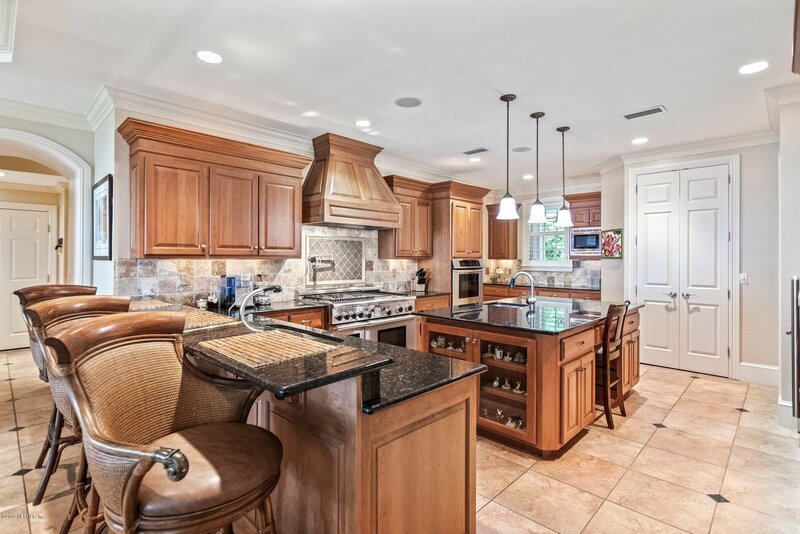 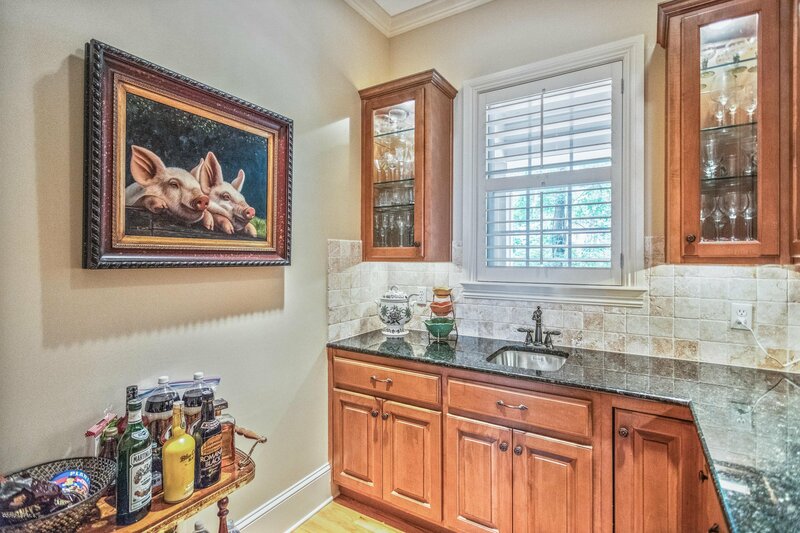 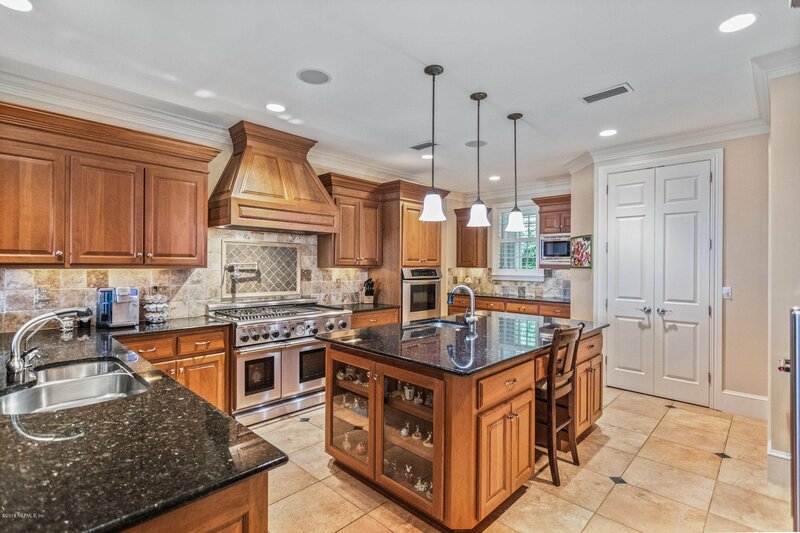 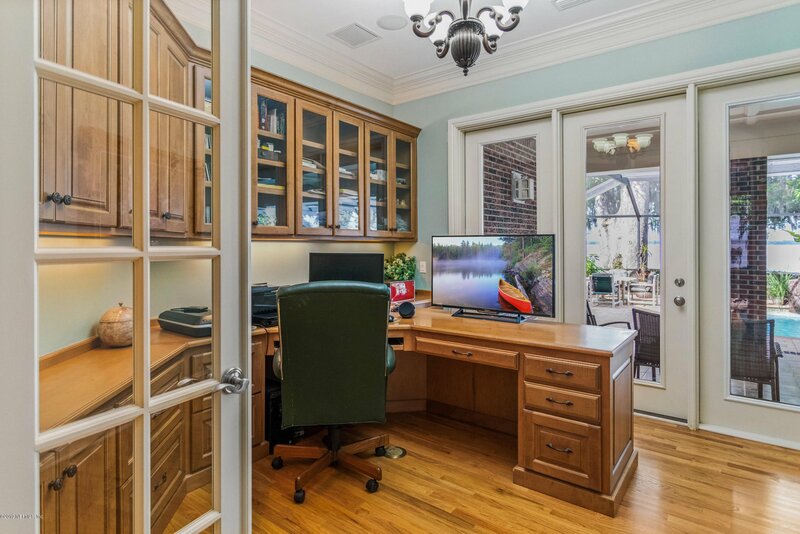 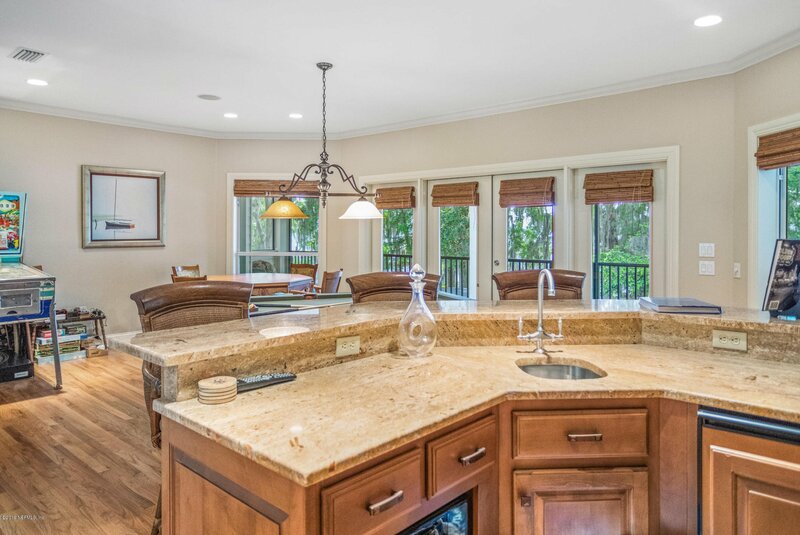 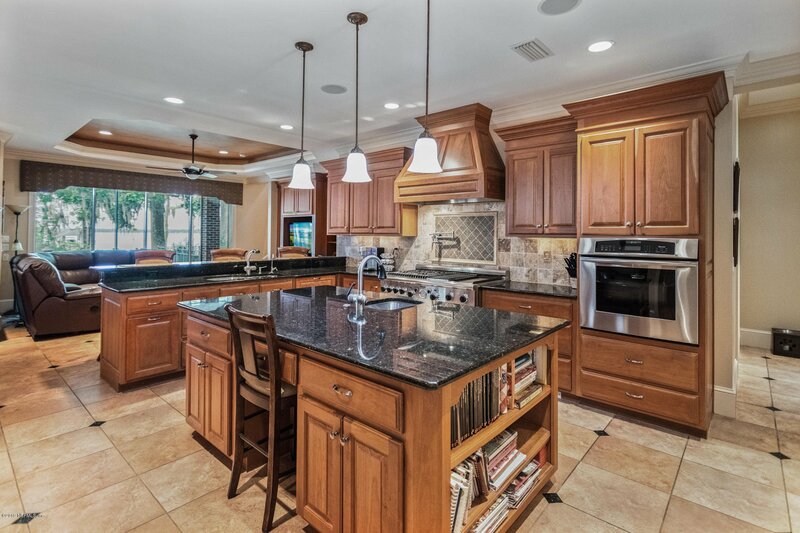 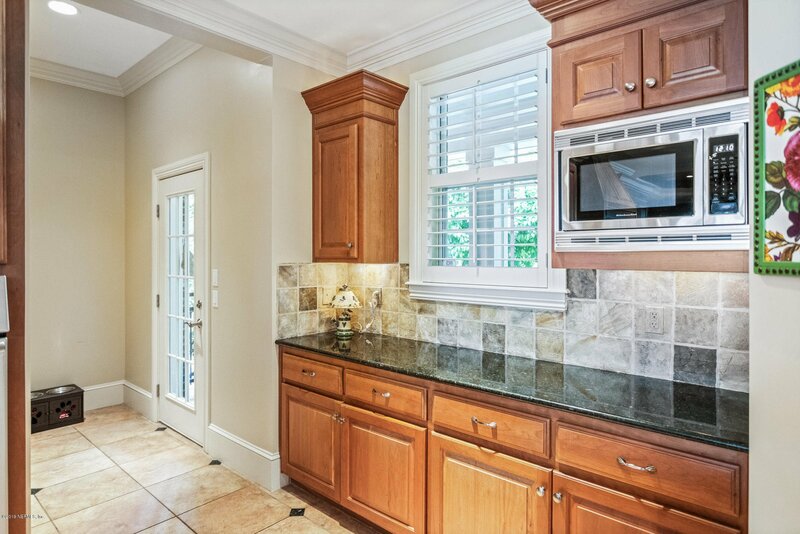 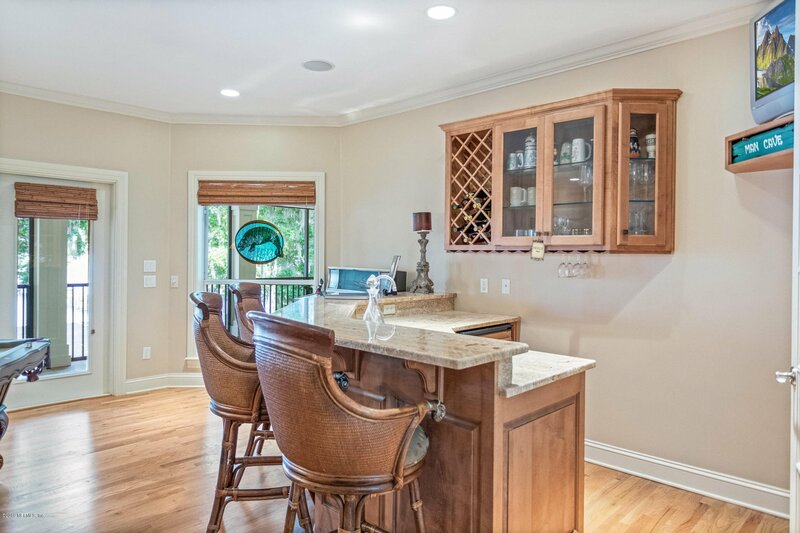 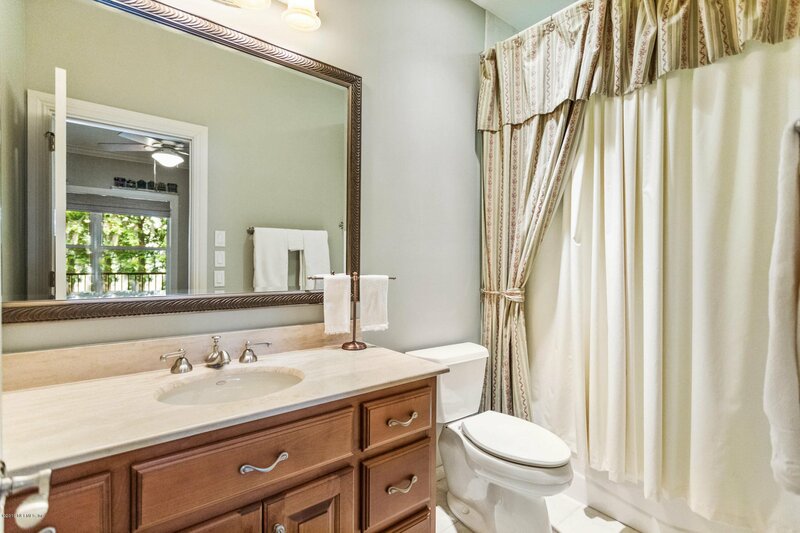 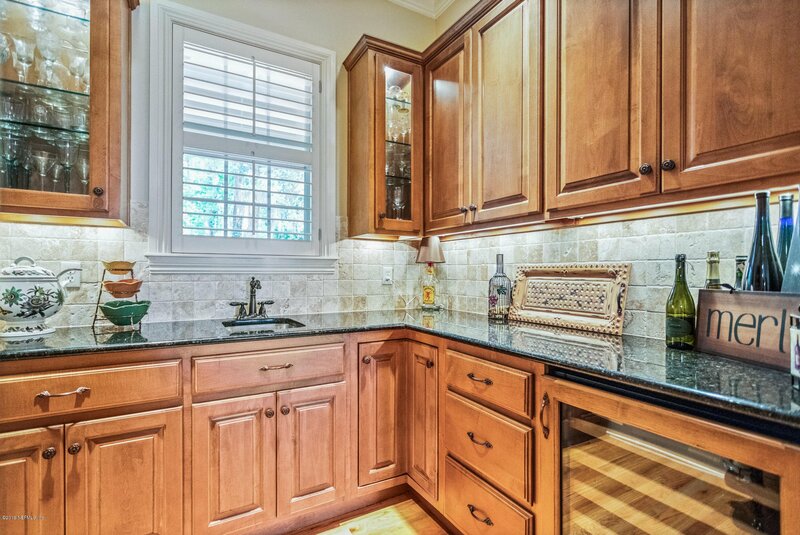 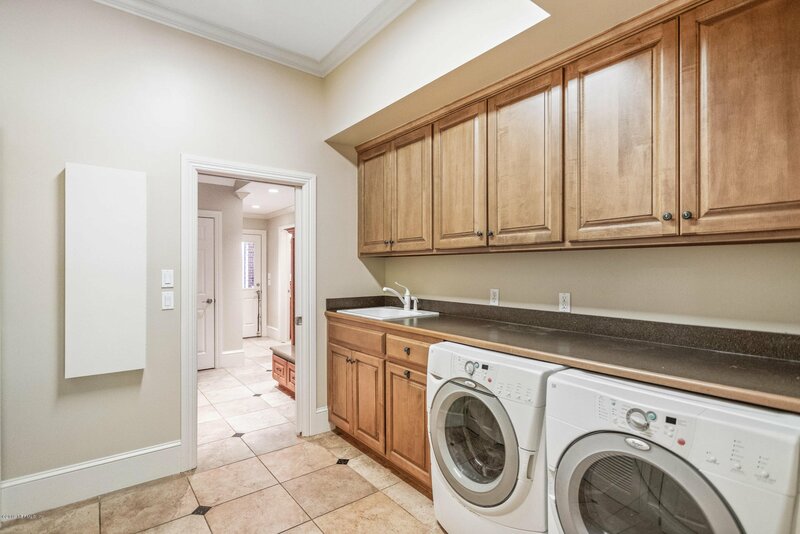 The butler's pantry comes complete with a wine cooler and wet bar. 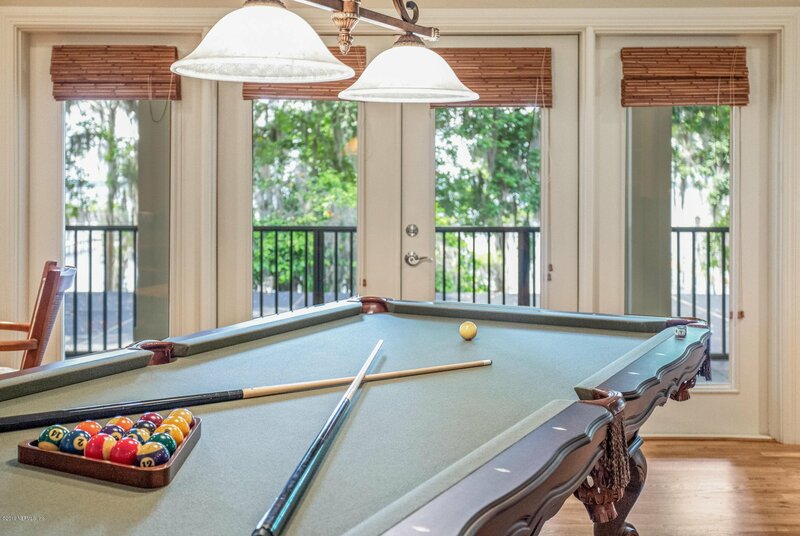 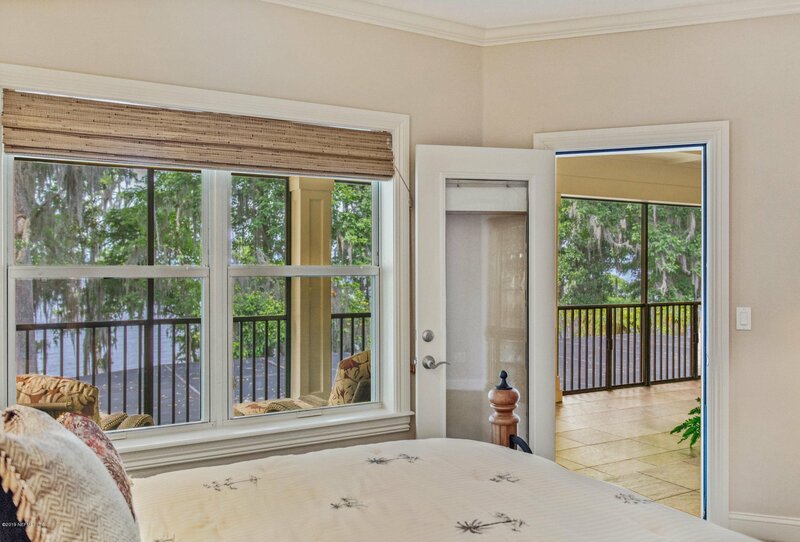 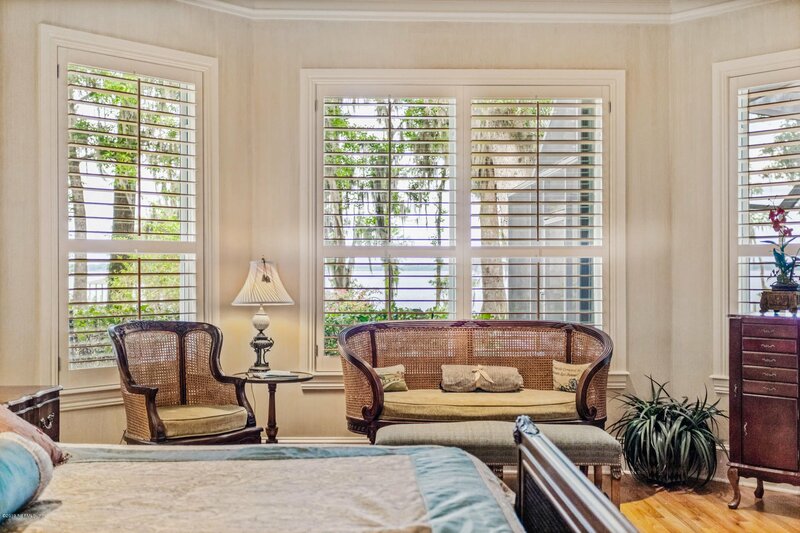 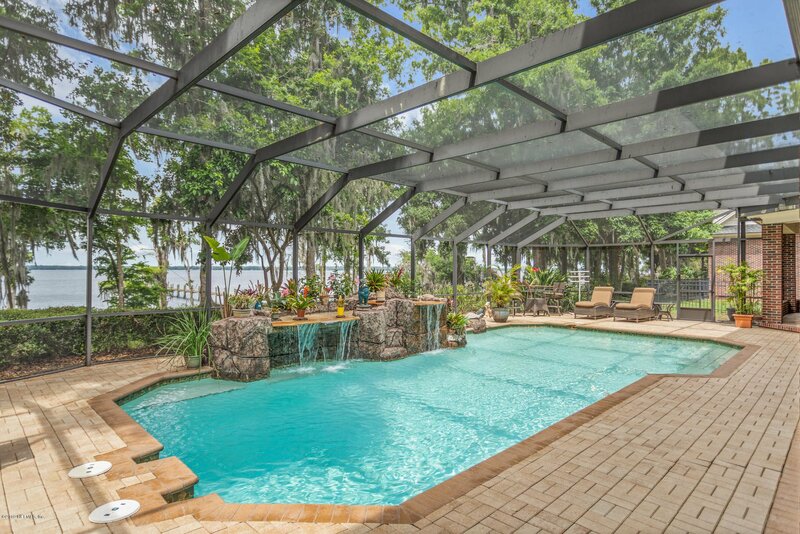 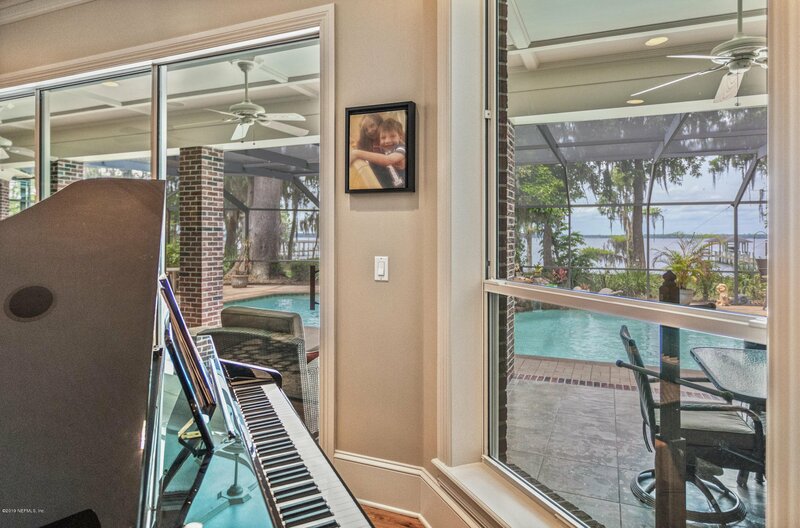 A separate morning room provides pool views for sipping your coffee or tea. 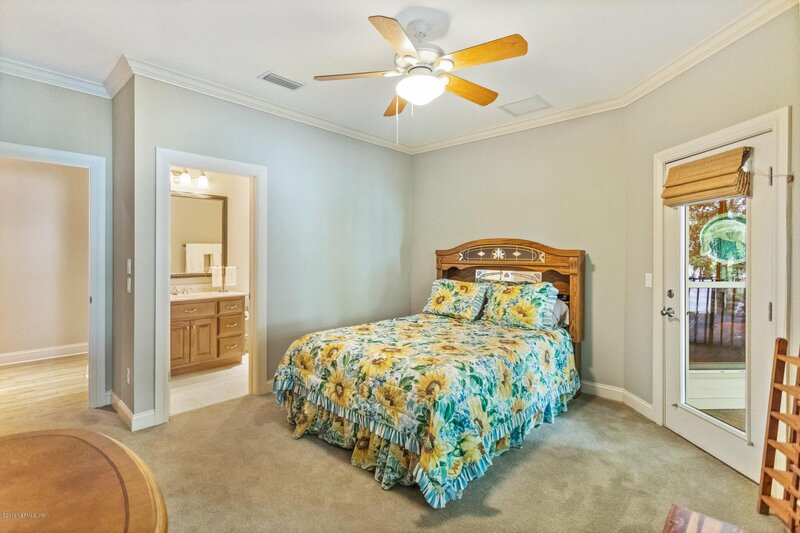 A guest room with en suite, formal dining, laundry room, living room, and cabana bath round out the expansive first floor. 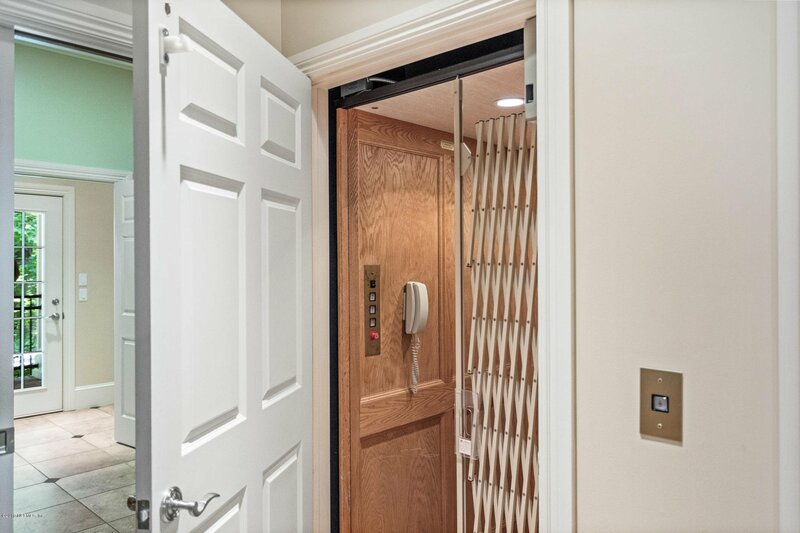 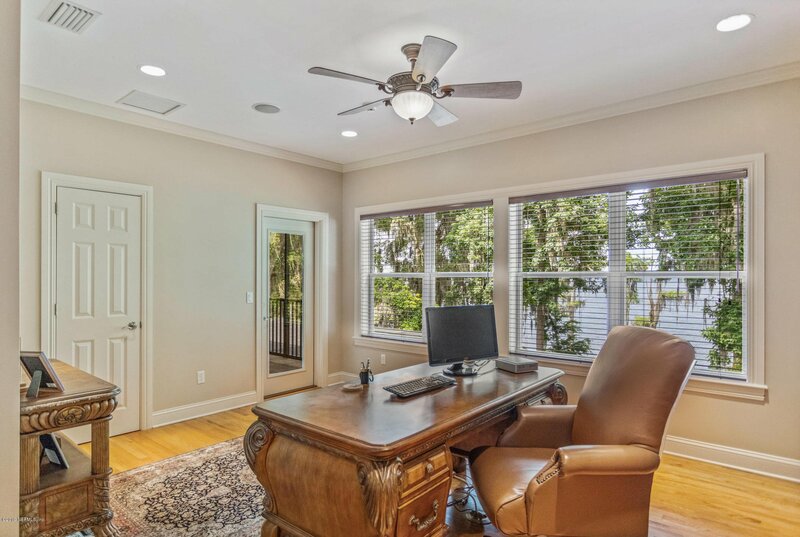 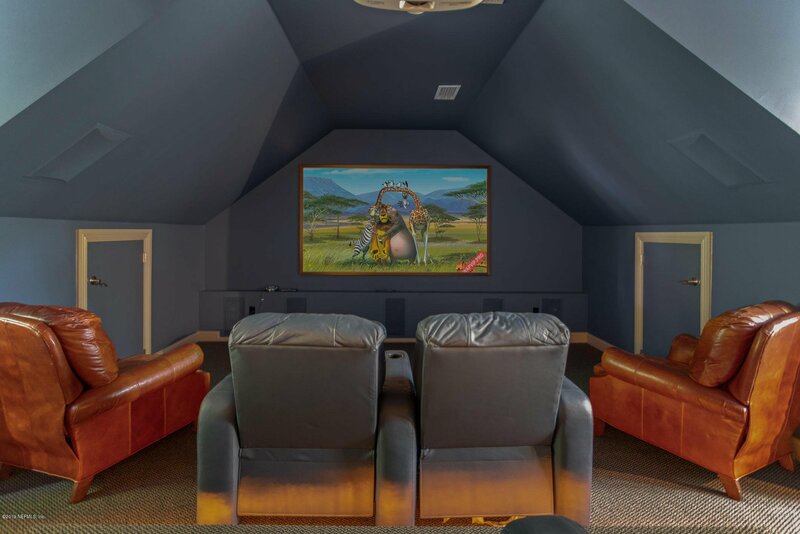 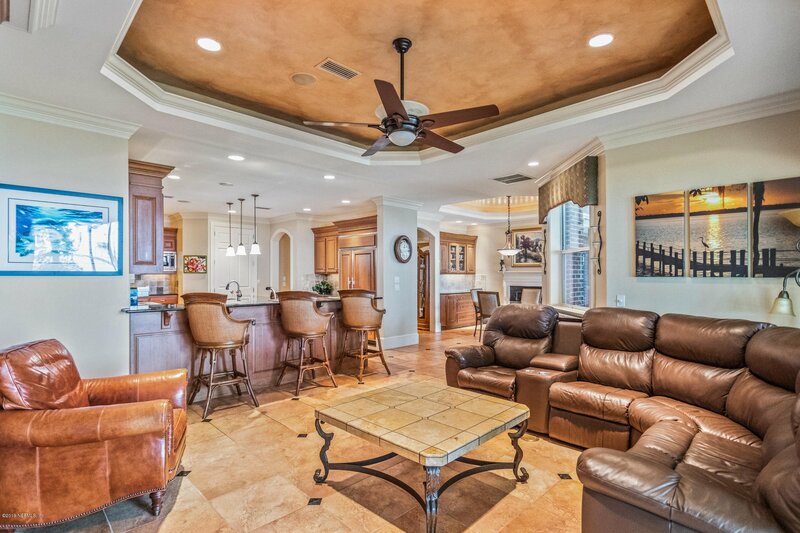 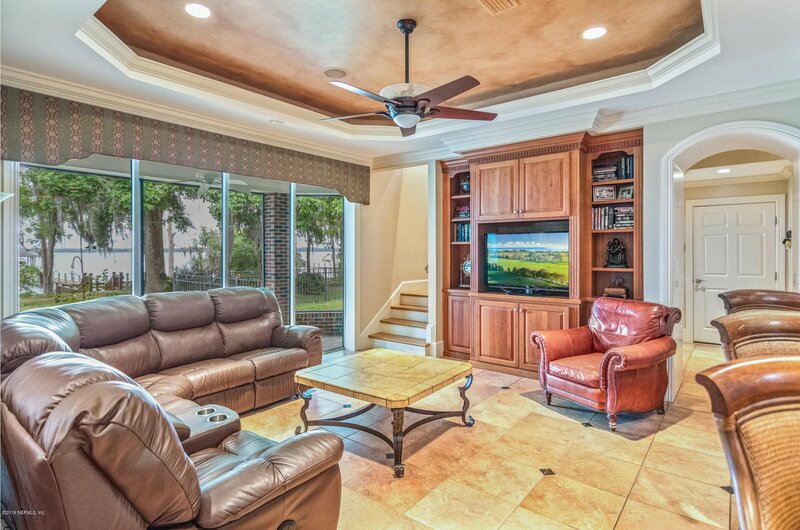 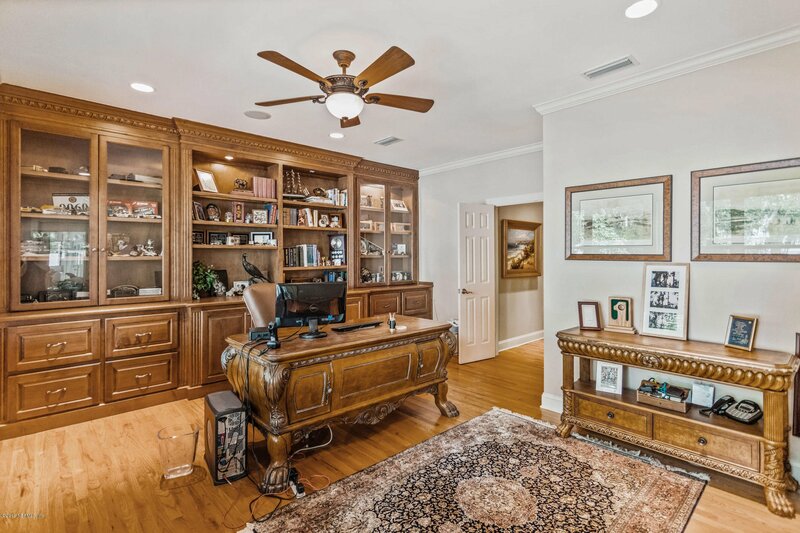 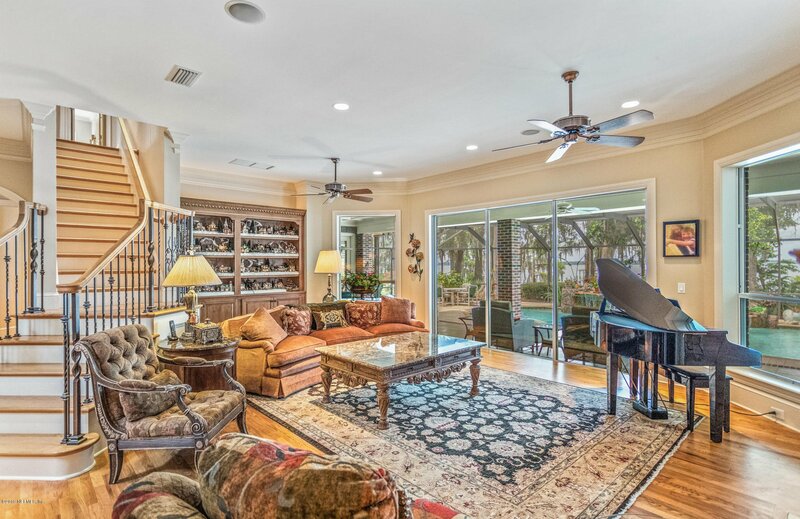 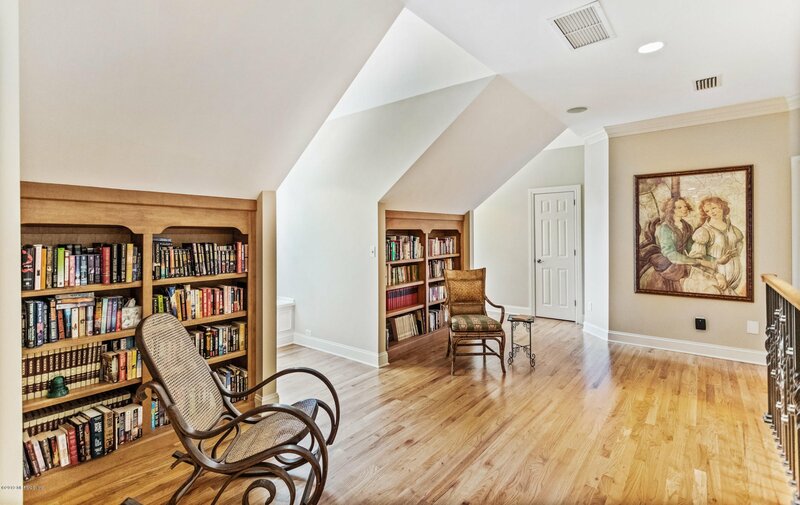 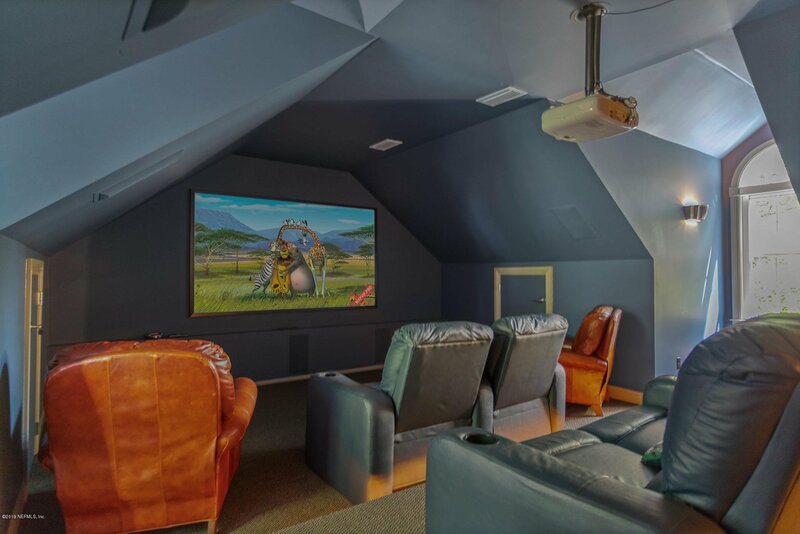 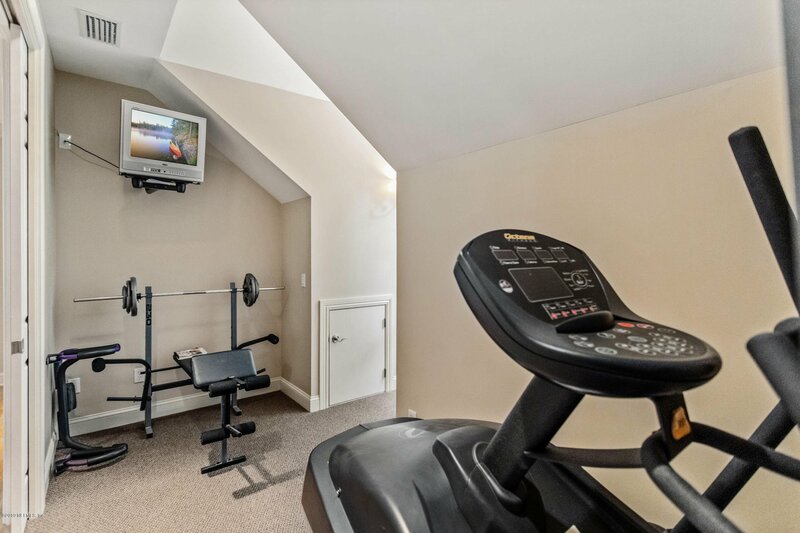 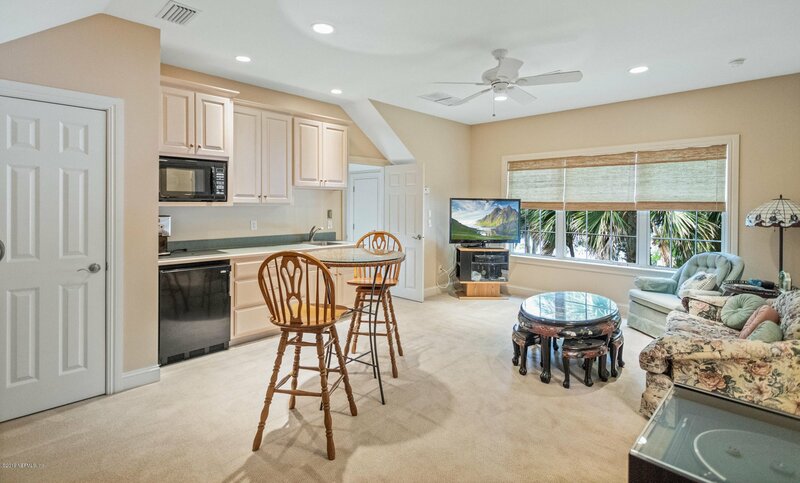 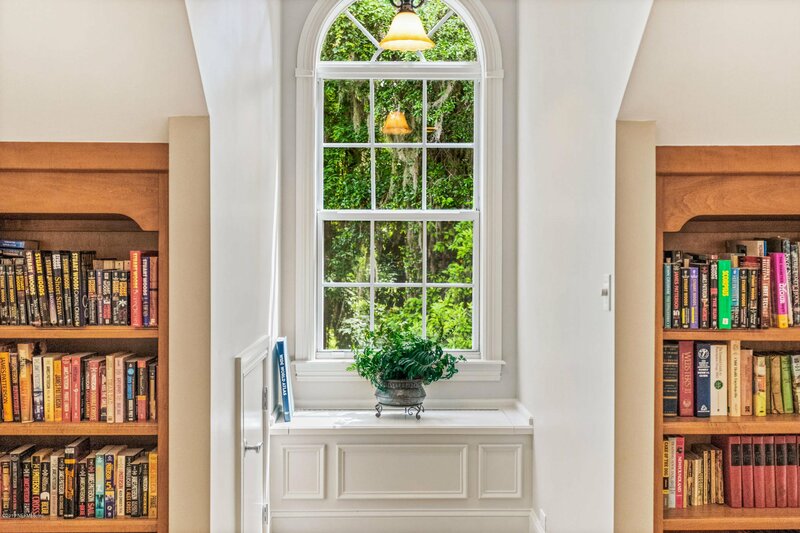 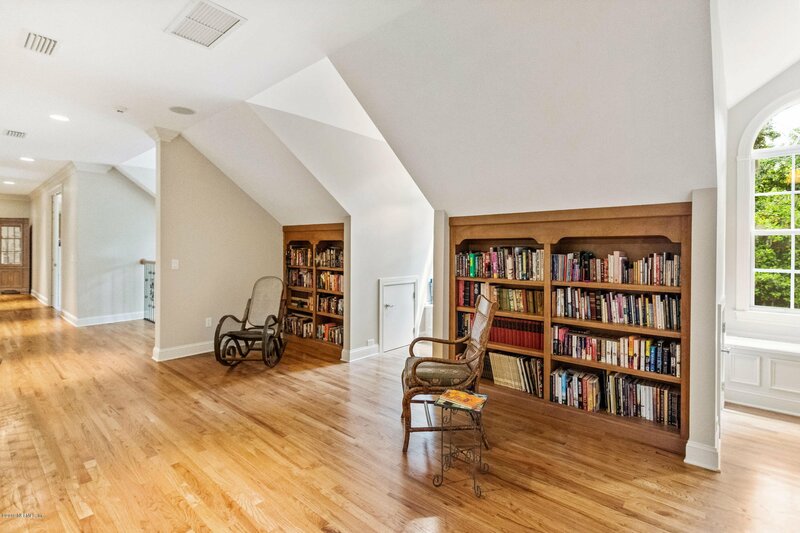 Take the elevator up to find a theatre room with 5 theatre seats, library, craft room, exercise room, a game room complete with a full wet bar, and more. 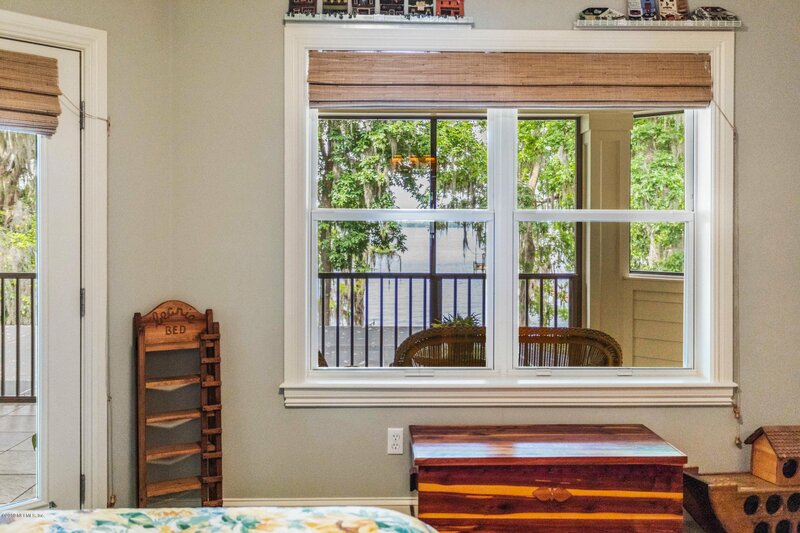 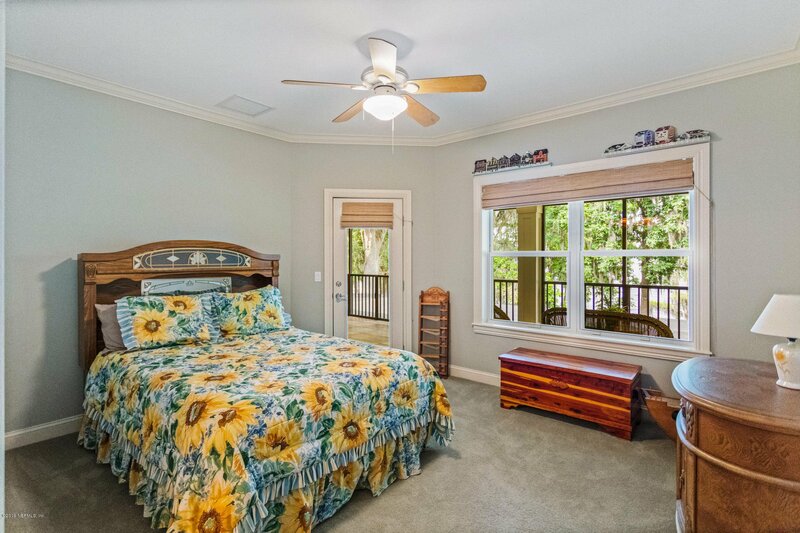 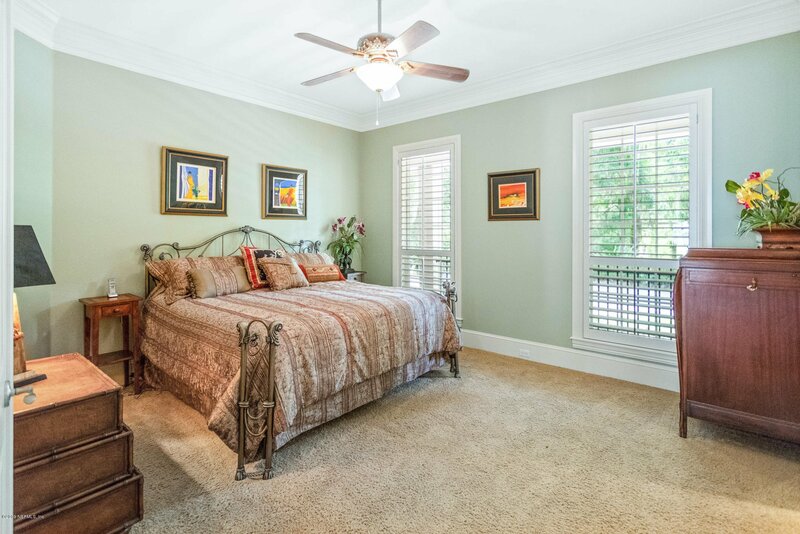 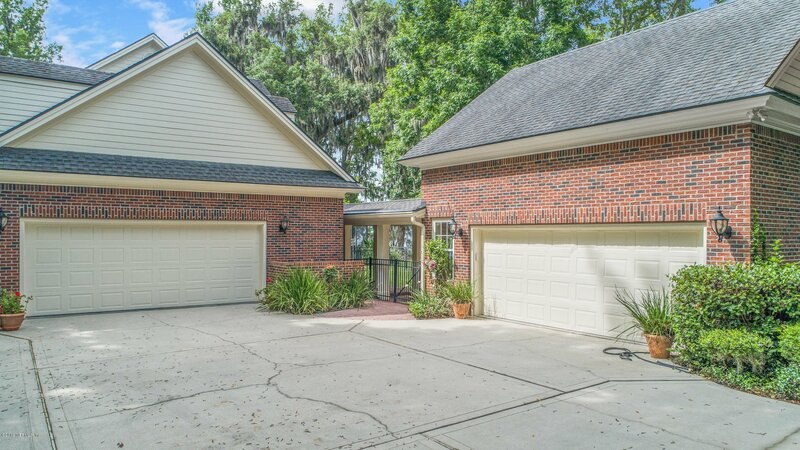 Garage parking for 4 cars and a detached guest apartment make this property perfect for multi-generational families or for visiting guests. 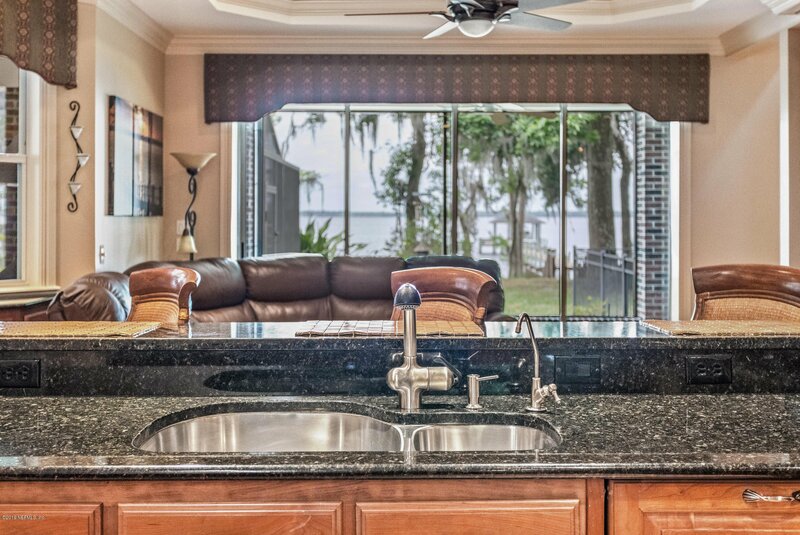 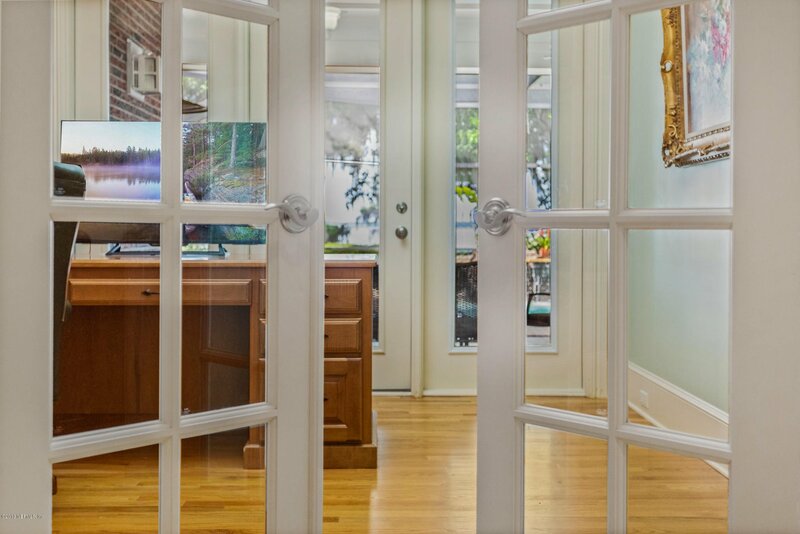 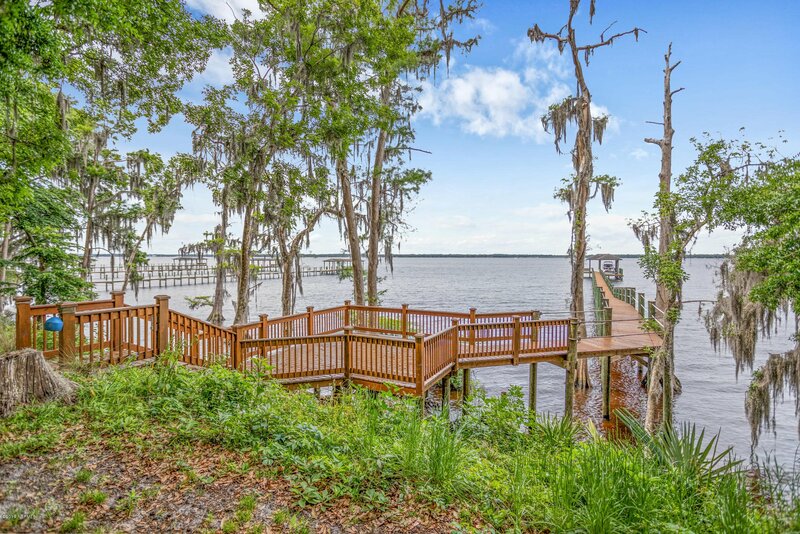 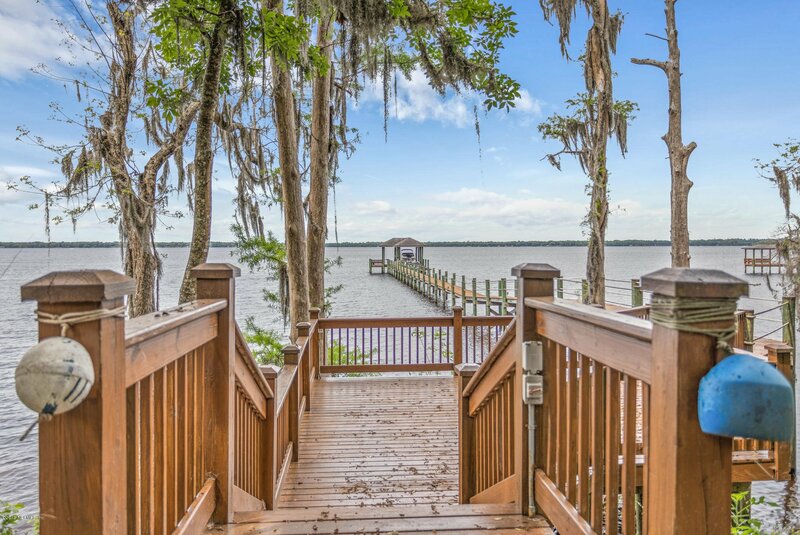 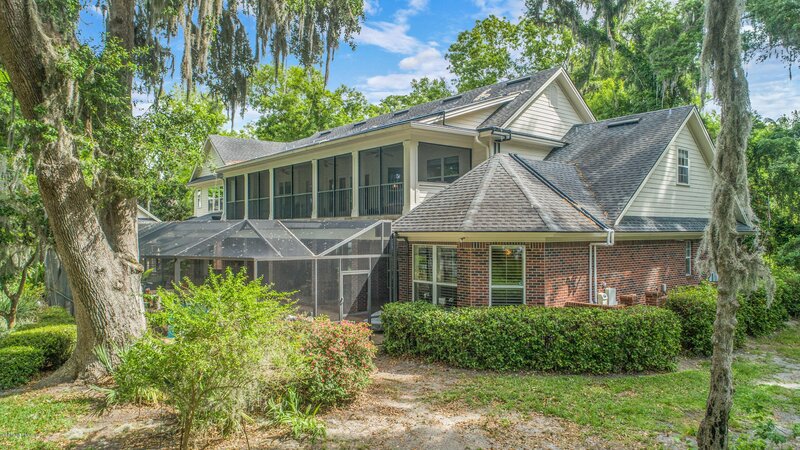 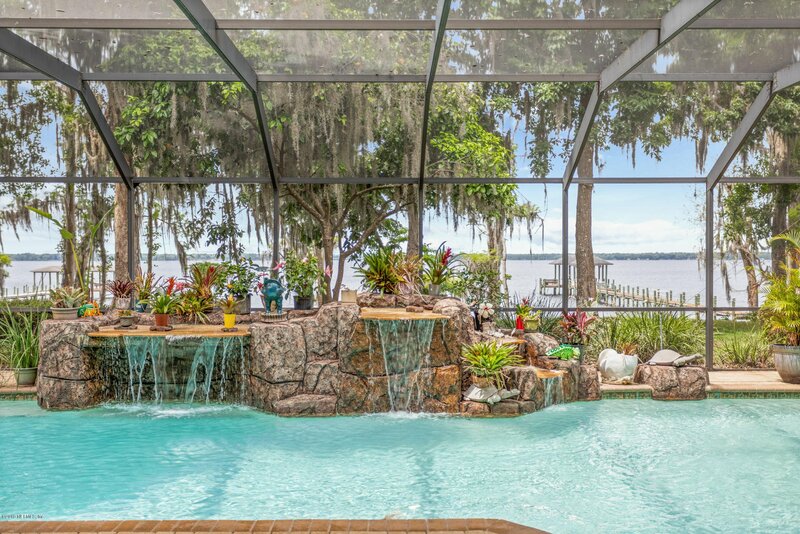 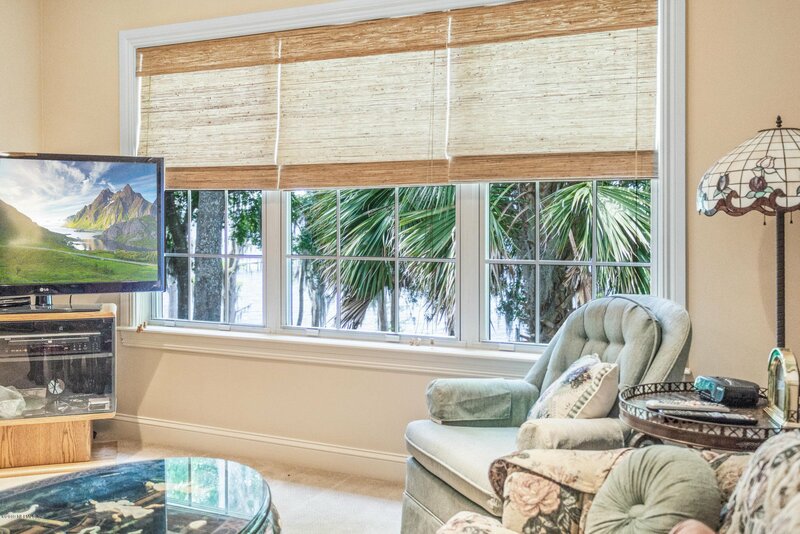 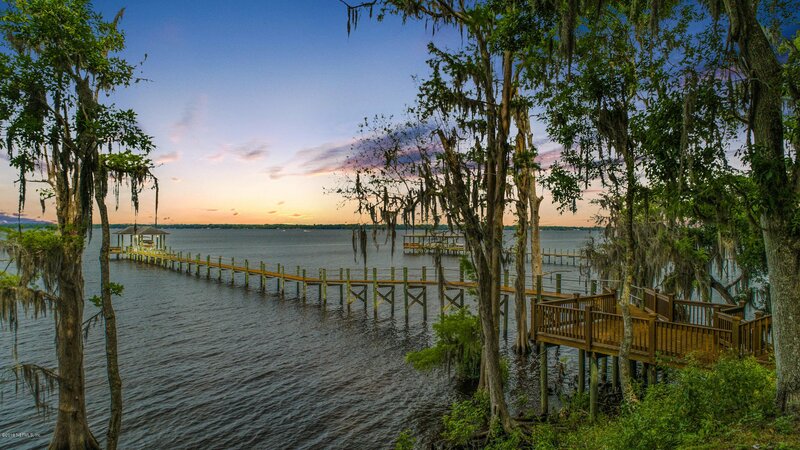 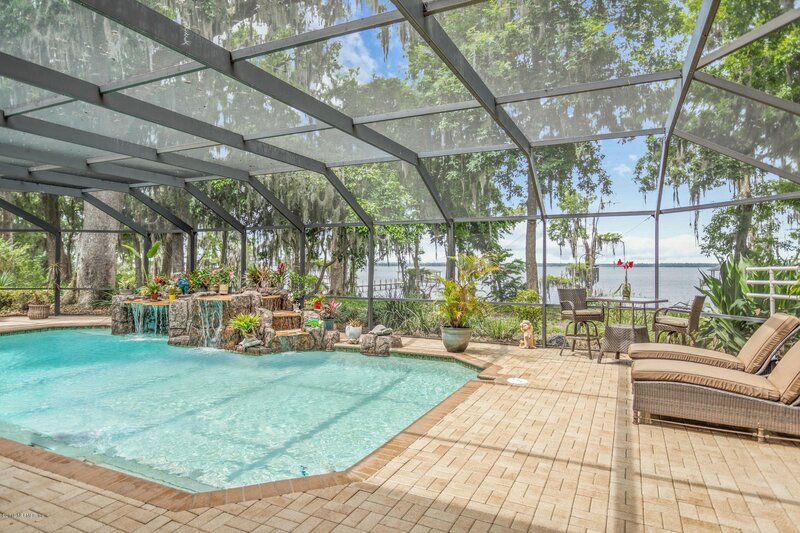 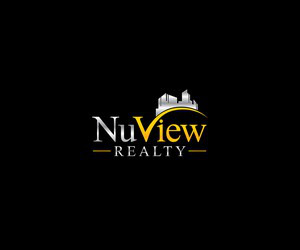 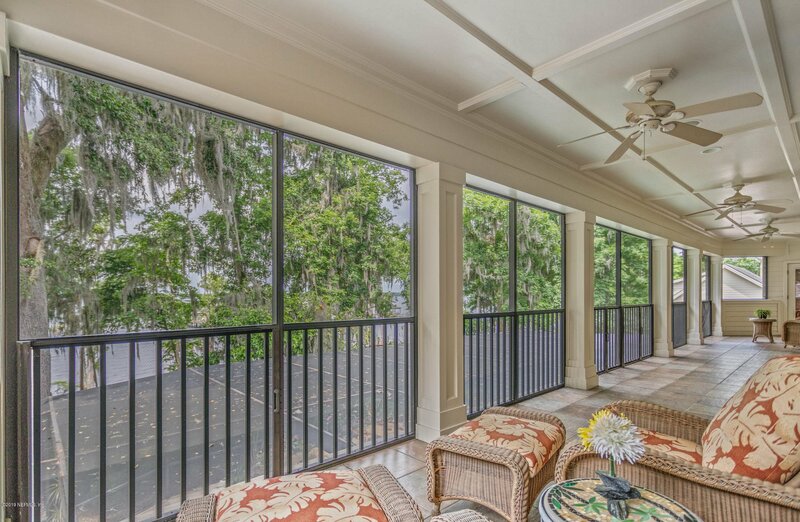 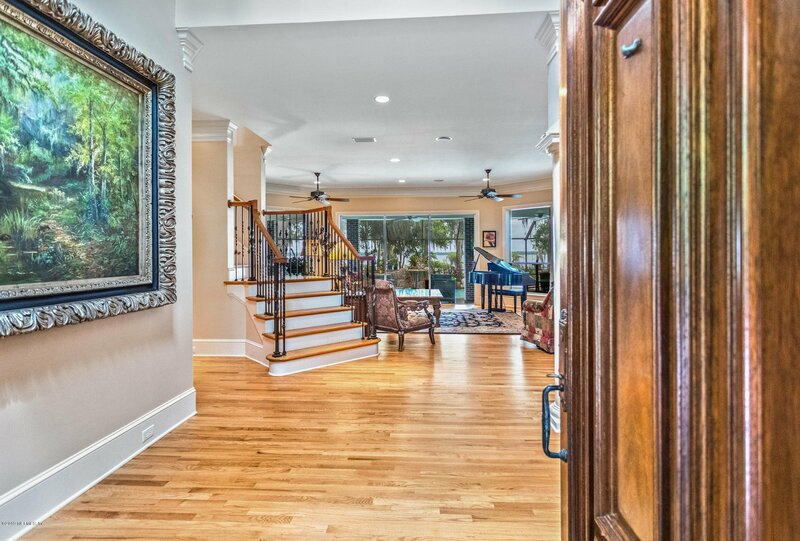 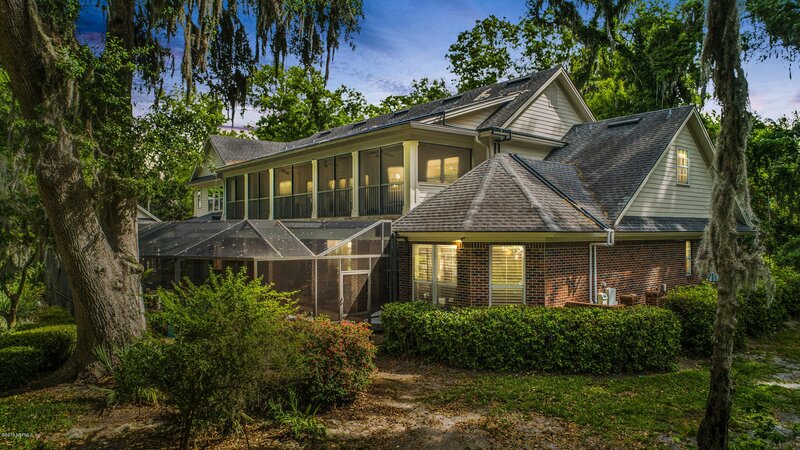 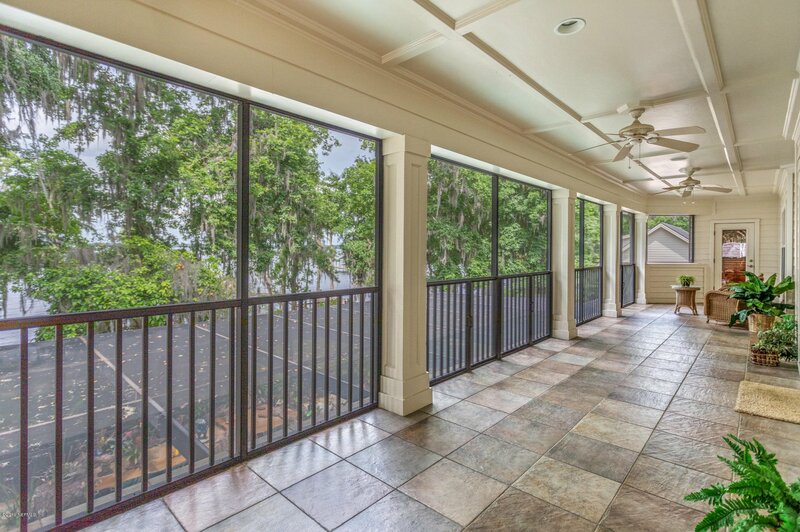 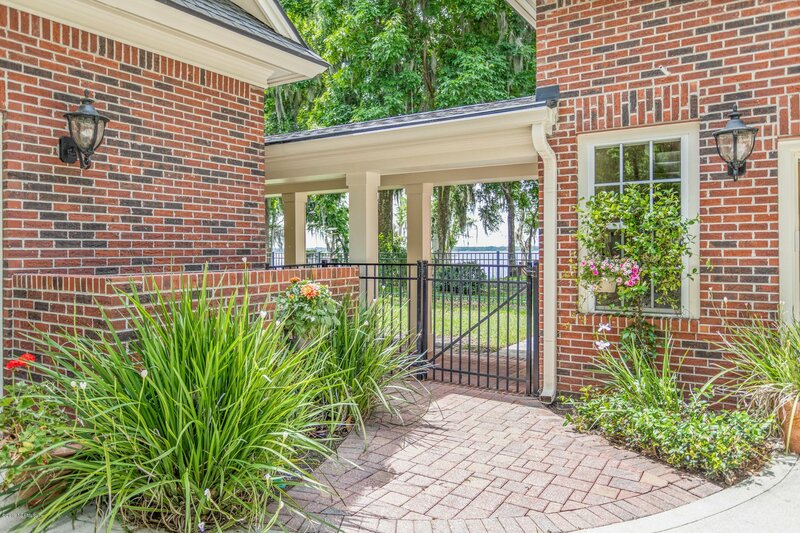 Come see this dream home for yourself and see how riverfront serenity truly feels.